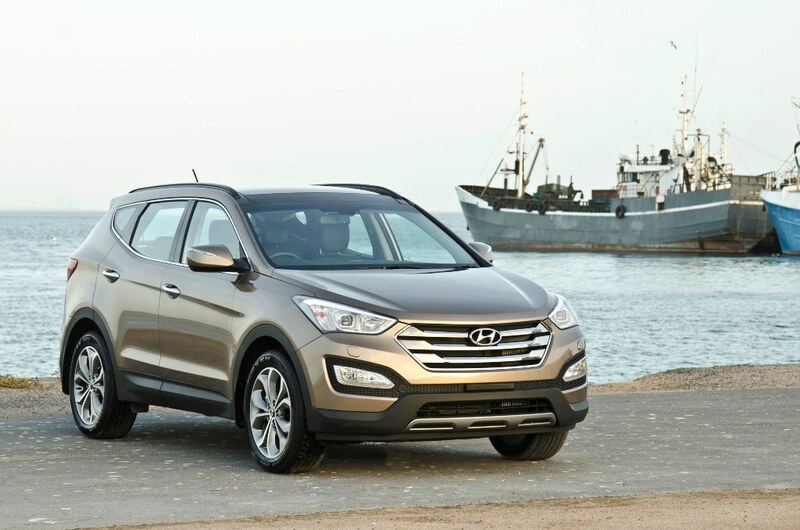 The arrival of the new third generation Hyundai Santa Fe should continue to worry competitors in the SUV segment. 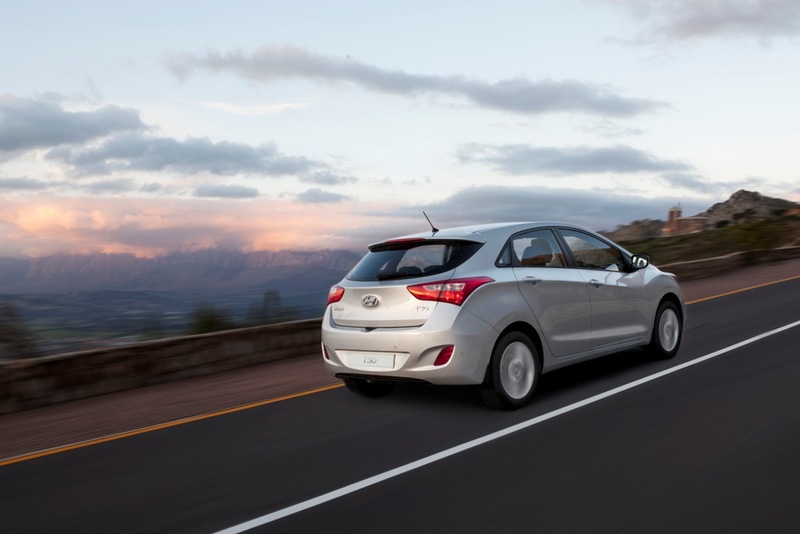 The Hyundai/Kia Group has managed over the years to grow their market share significantly mostly as a result of their increased model line-up but most I believe as a result of their improved styling and focus on delivering quality products. 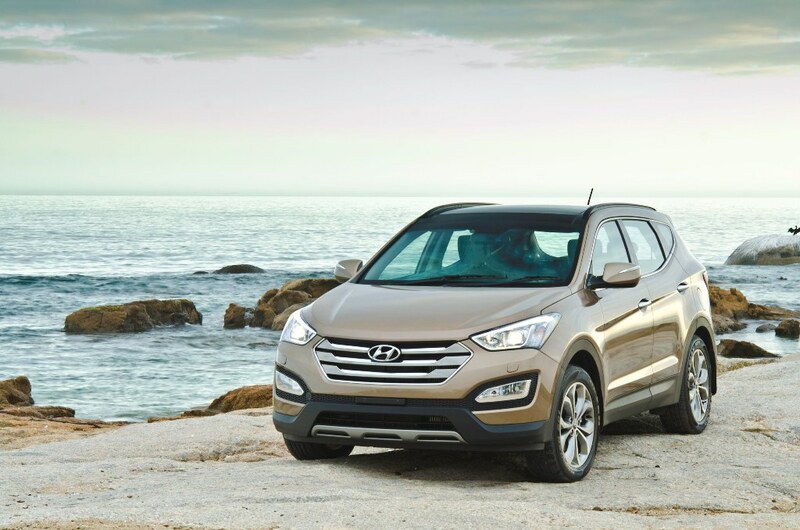 The Hyundai Santa Fe will be introduced in three derivatives with a choice of features and drivetrains. 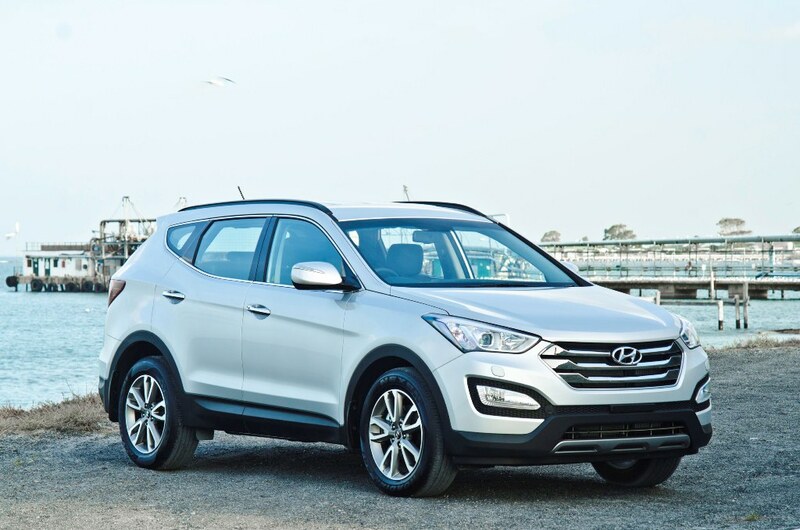 Buyers will have a choice of choosing the front-wheel drive Santa Fe Premium, and two all-wheel drive derivatives, the Executive and the Elite. 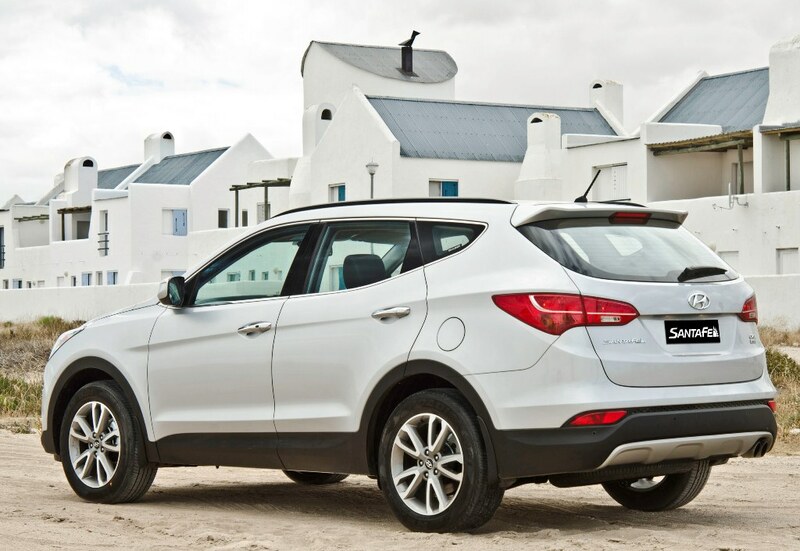 The Hyundai Santa Fe Executive and Elite will offer a third row seat which should come in handy when moving the clan around. 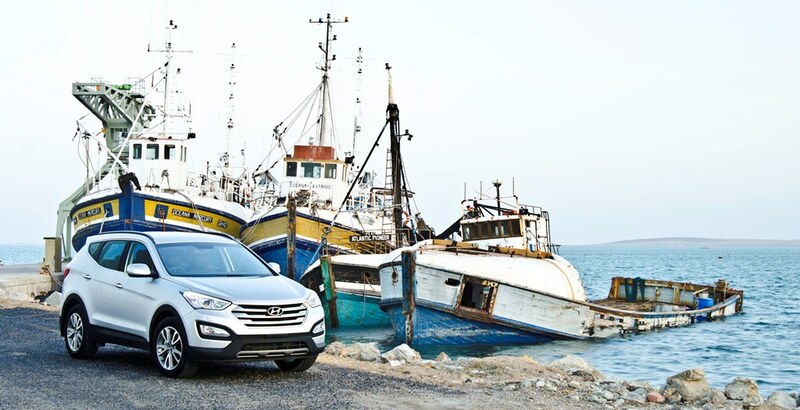 What we can see from the pictures is that the exterior of the Hyundai Santa Fe features a bold hexagonal front grille and rectangular lenses for the front Xenon headlights. 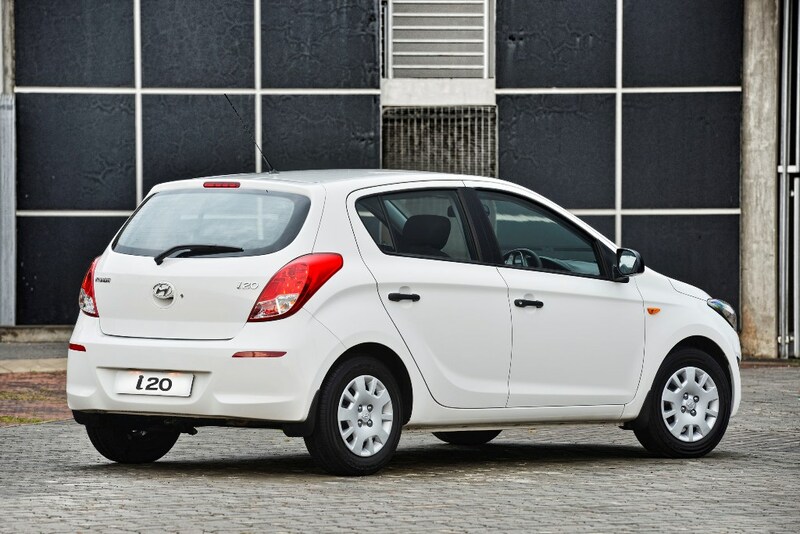 The side view is highlighted by the rising belt line and a bold rising shoulder line behind the rear door handles which conveys strength and authority. 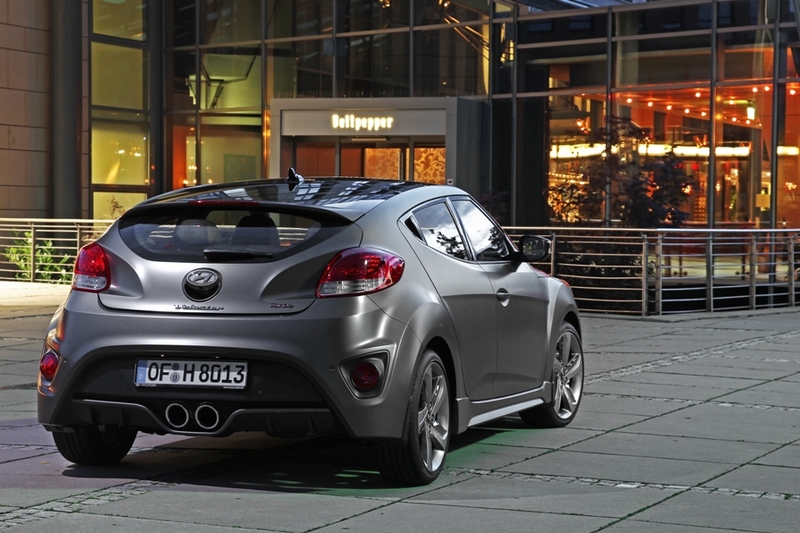 At the rear, detailing includes a sporty twin muffler with double exhaust tips, a diffuser style moulding beneath the bumper, and an LED high-level brake light. 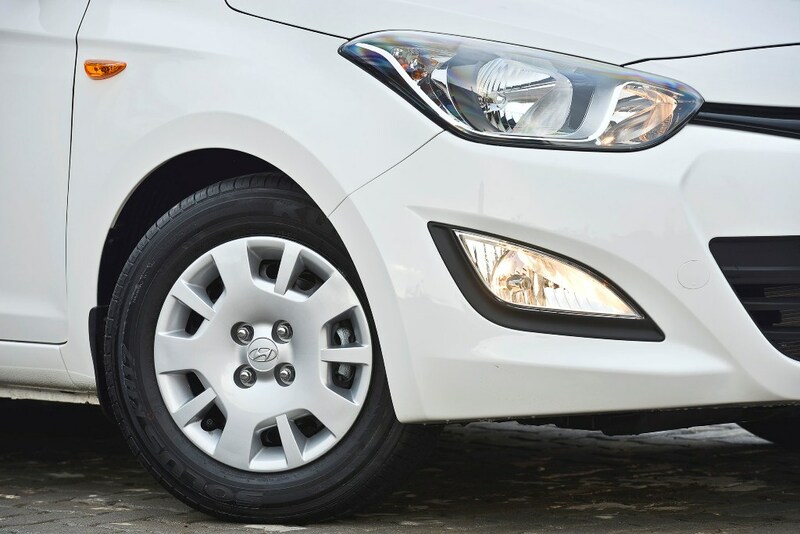 Very attractive alloy wheels are standard – 17” rims are fitted to the Premium derivative, while the Executive comes with 18” and the Elite with 19” rims. 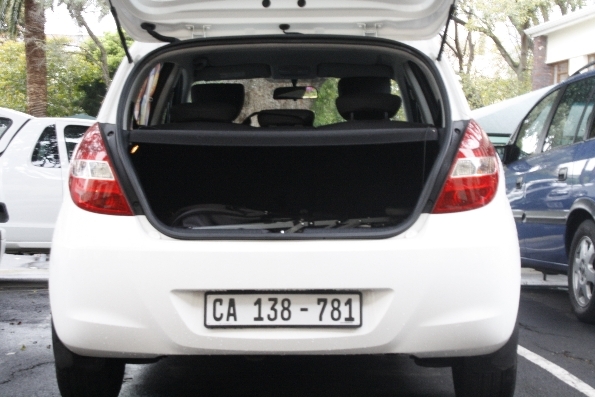 A full alloy spare wheel is located under the cargo floor. 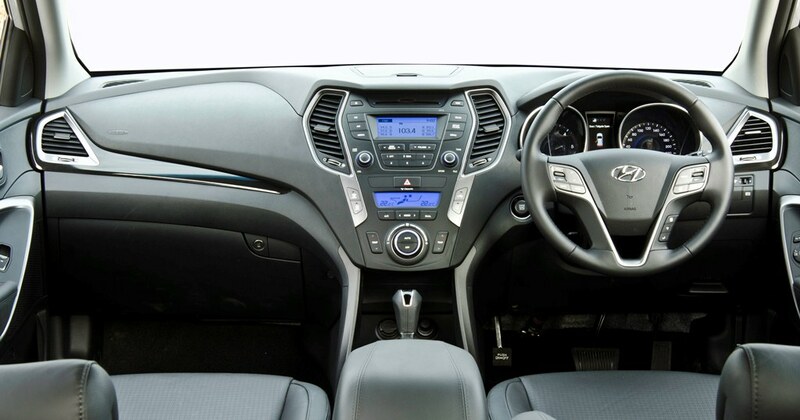 The interior design is equally bold and modern, in particular the dramatic 3D sculptural treatment of the dashboard, centre console and eye-catching steering wheel, which is adjustable for rake and reach. 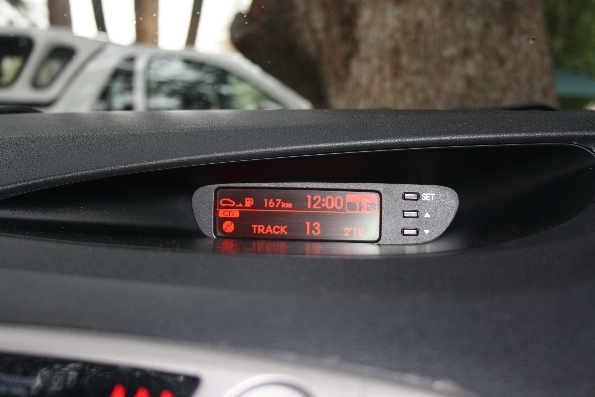 Information is displayed on an advanced TFT LCD instrument cluster housed in a sporty cylindrical shell, and there is also an information screen. 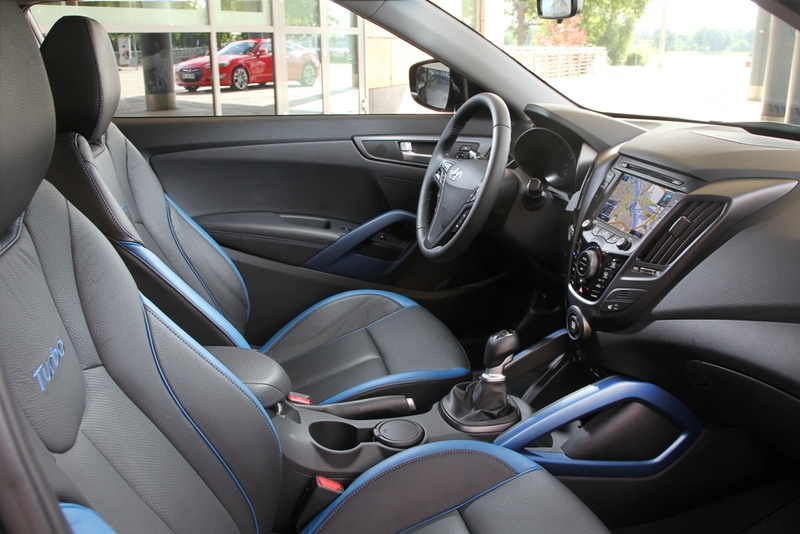 Satin or high gloss chrome accents and high gloss finishes highlight the premium nature of the interior, with its leather upholstery. 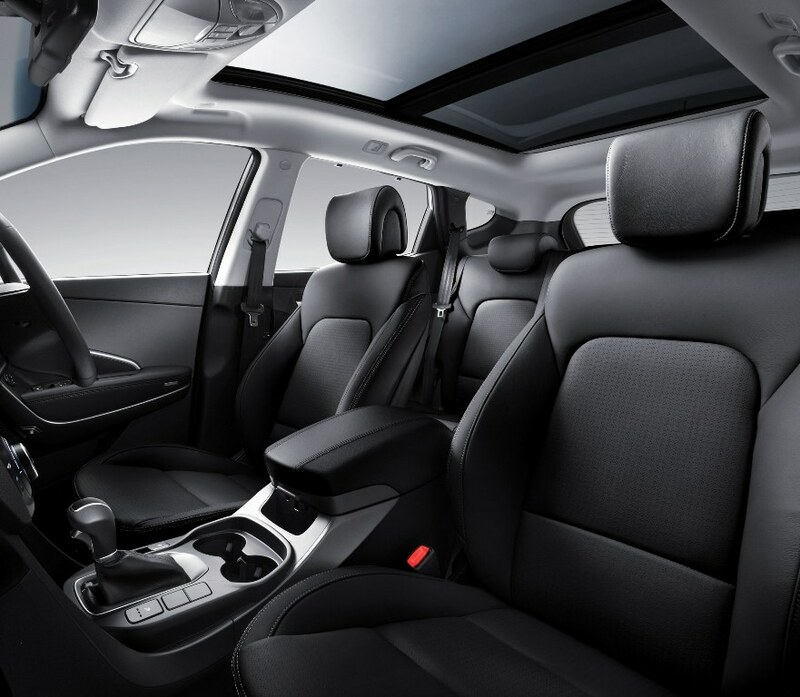 Longer and wider than the previous generation model, the all-new Santa Fe provides outstanding legroom and increased headroom in the first row. 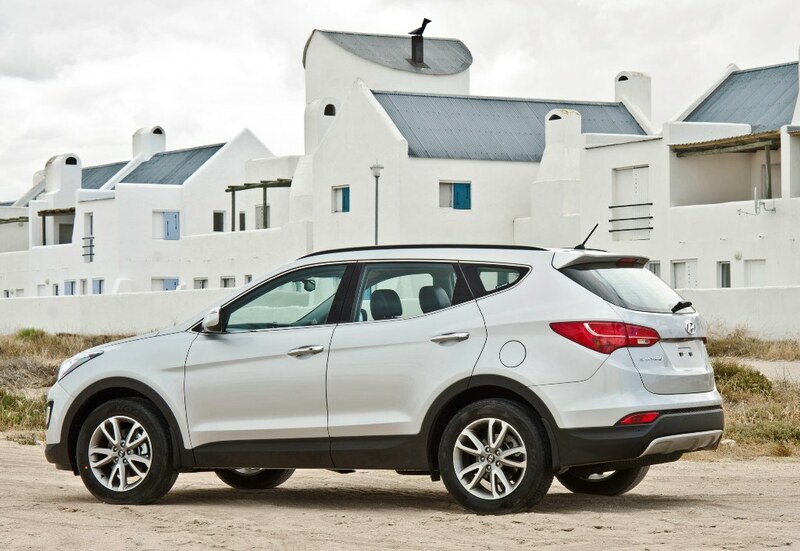 Boot space in the all-new Santa Fe is 1 003 litres in the Premium 5-seater, and 994 litres in the 7-seater Executive and Elite. 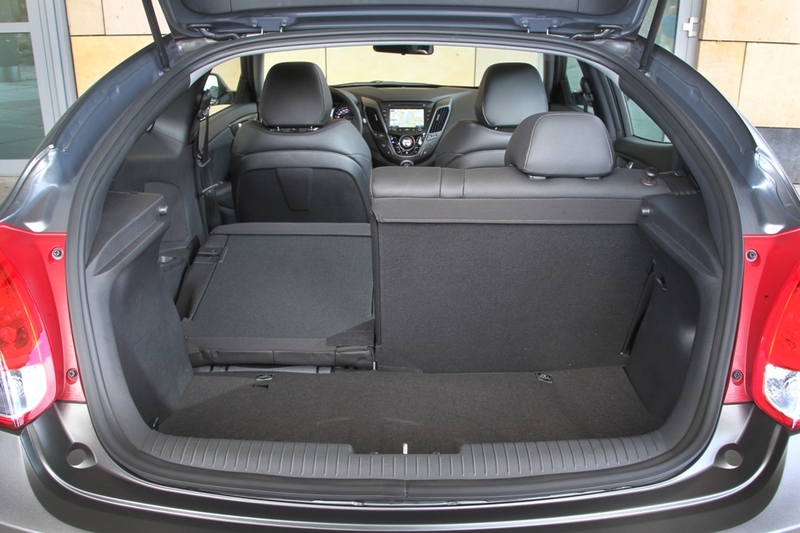 A new centre console storage box, deep door pockets and a sizable lockable glove box contribute to the overall storage space in the new Santa Fe. Remote folding of the second row seats simplifies the conversion of the interior luggage space for carrying large and bulky items like pushchairs and bicycles. 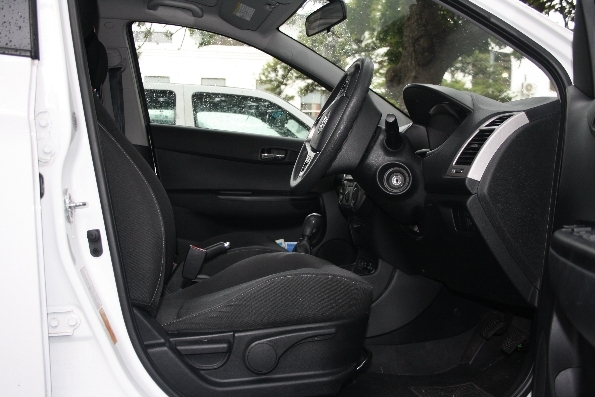 Other features include the Dual Zone Climate Control (standard on all models), glove box cooler, a reverse camera (Elite model), automatic folding mirrors, automatic rain sensor, and full length panoramic sunroof (standard on Elite Model). 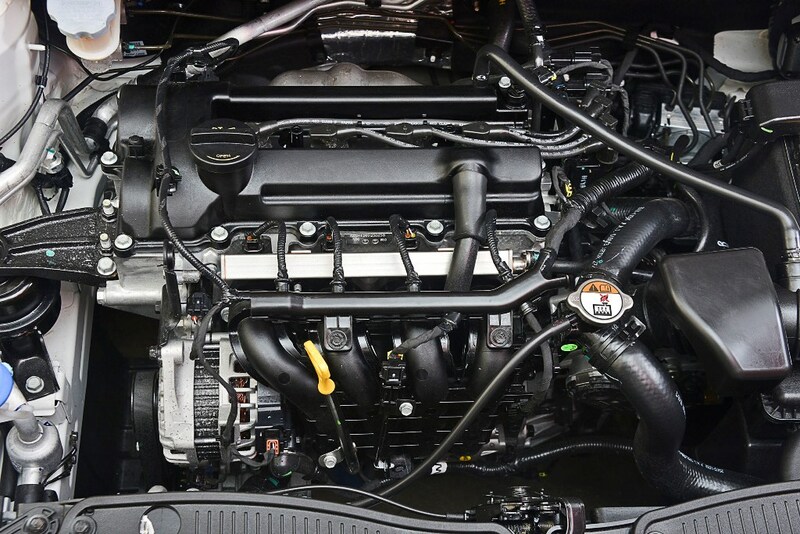 Power for the Hyundai Santa Fe will be delivered by a 2.2 litre, 4-cylinder turbodiesel with common rail injection and a high-efficiency electronic turbocharger. 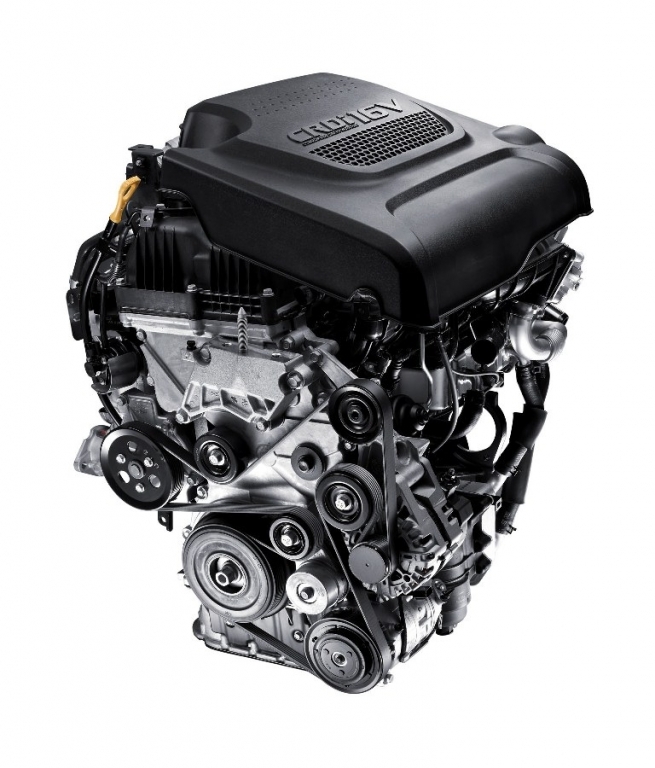 The engine delivers 145kW at its peak power output at 3800rpm, and a torque output of 436Nm between 1800 and 2500rpm. 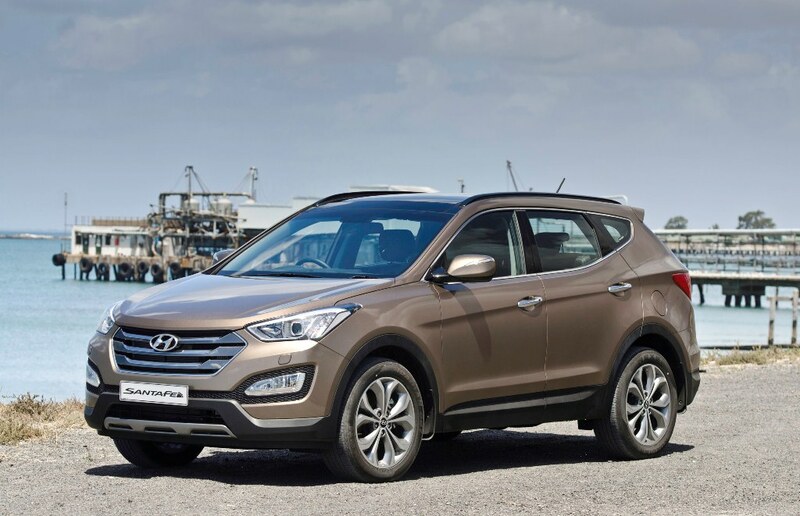 The claimed fuel consumption figure for the Hyundai Santa Fe Premium model is 8 litres/100km whilst the Executive and Elite model have a claimed fuel consumption figure of 8.3 litres/100km. 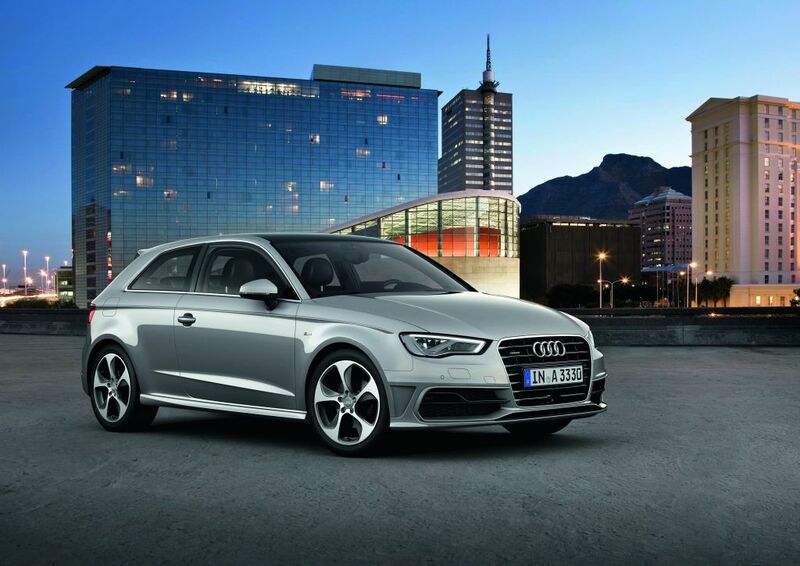 The turbodiesel delivers its power to the wheels through a smooth-shifting automatic 6-speed transmission that offers the option of manual shift control. The all-wheel drive system in the Executive and Elite delivers power through the front wheels under normal road conditions for optimum economy and fuel efficiency, but engages the rear wheels automatically when conditions demand it. 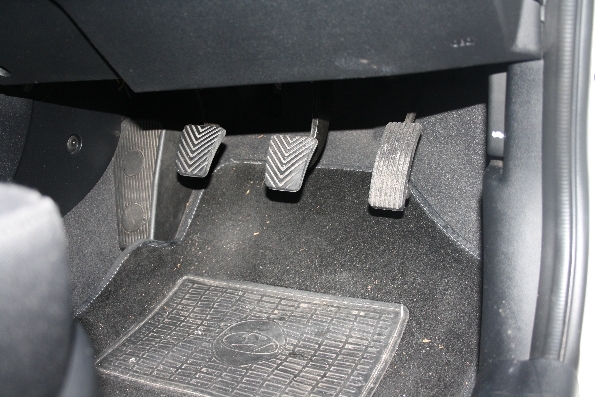 It also features a 4WD lock mode selector that distributes power in a 50:50 ratio to front and rear wheels for increased off-road ability, while automatically switching to “Auto” mode to protect the drive system when the vehicle speed increases to 40 km/h. 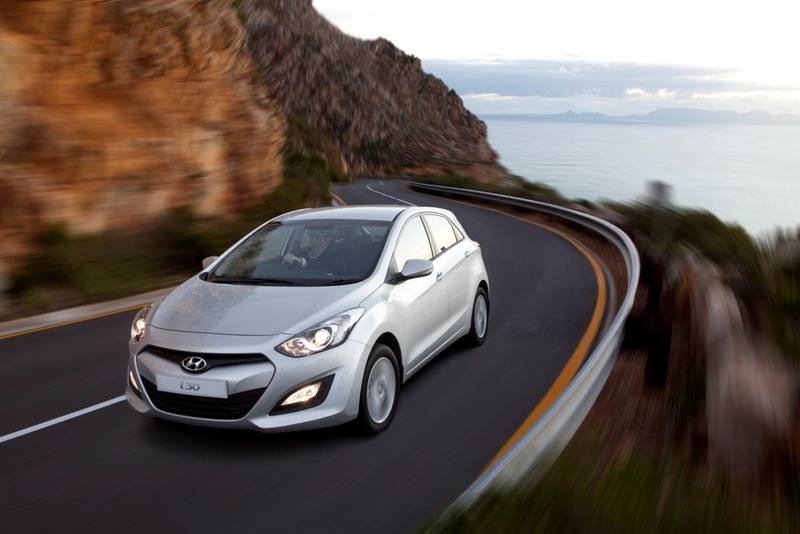 Hyundai South Africa has launched the new entry-level Hyundai i20 1.2 Motion to the local line-up. 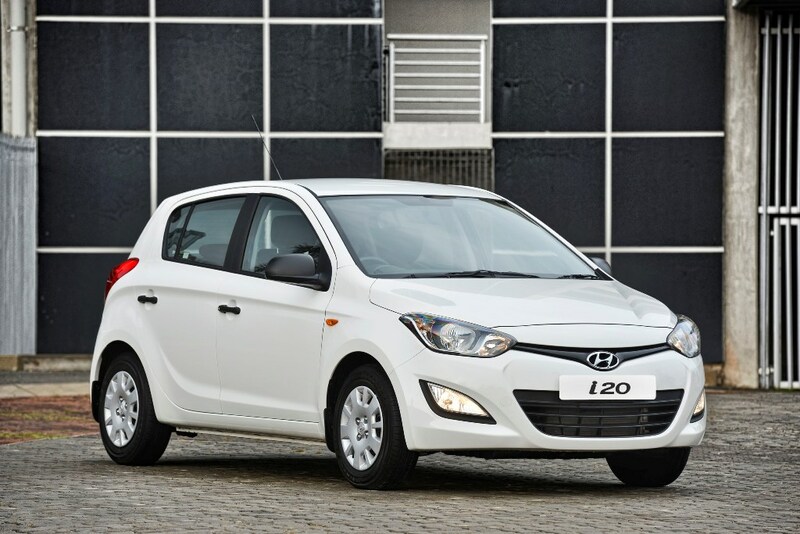 The new Hyundai i20 1.2 Motion will extend the range to four derivatives when it takes its place next to the recently launched Hyundai i20 1.4 Fluid and the present range-topper, the i20 1.4 Glide. 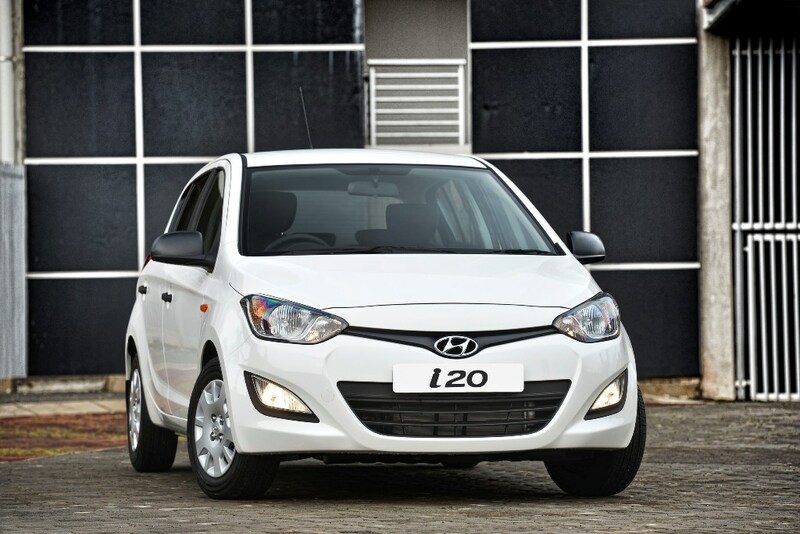 The Hyundai i20 1.2 Motion is powered by a 4-cylinder 1.2 petrol engine mated to a five-speed manual transmission. 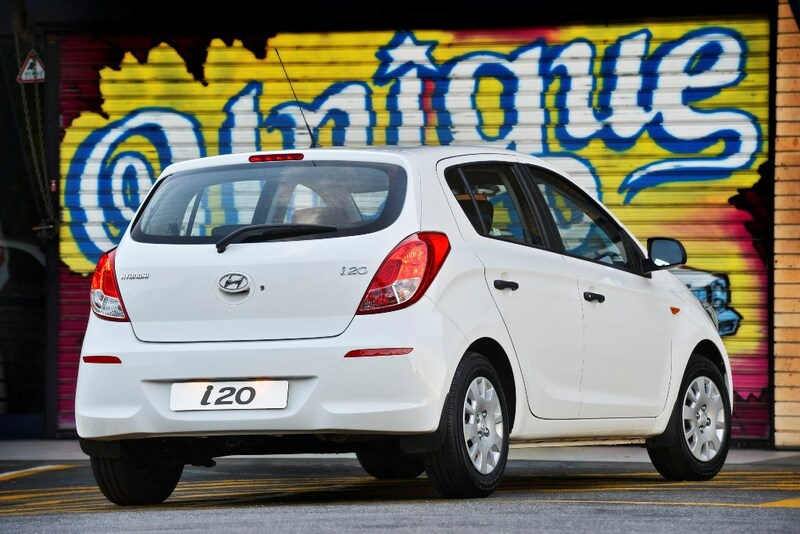 The 1.2 litre petrol engine delivers 64kW at 600rpm and a peak torque figure of 120Nm at 4000rpm. 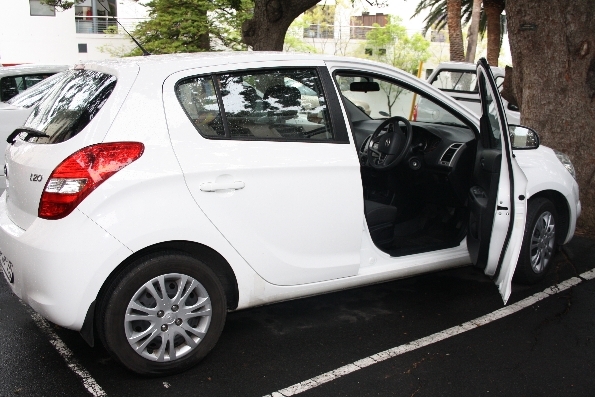 Exterior changes that distinguish the Motion from its Fluid and Glide partners include black door handles and exterior rearview mirror housings, 14-inch steel rims with attractive silver wheel covers, and a side indicator light fitted to the front side panels instead of being integrated into the rear view mirror housings as with the Fluid and Glide derivatives. 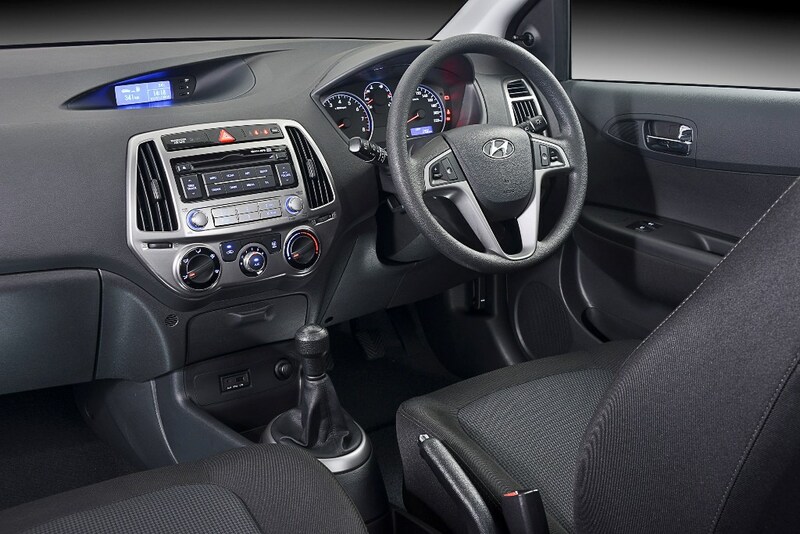 Features on the new Hyundai i20 1.2 Motion include; power-assisted steering; tilt and telescopic adjustment of the three-spoke steering wheel; remote audio control buttons on the steering wheel for the radio/CD/MP3 sound system; trip computer, front electric windows, and an air-conditioner with an anti-bacterial pollen filter. 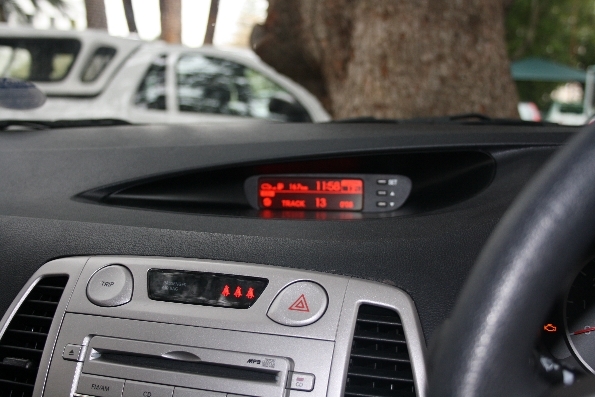 The sound system on the Hyundai I20 also integrates with in iPod or Iphone with a connection cable that comes standard. An Aux cable or USB memory stick can also be used to play music. 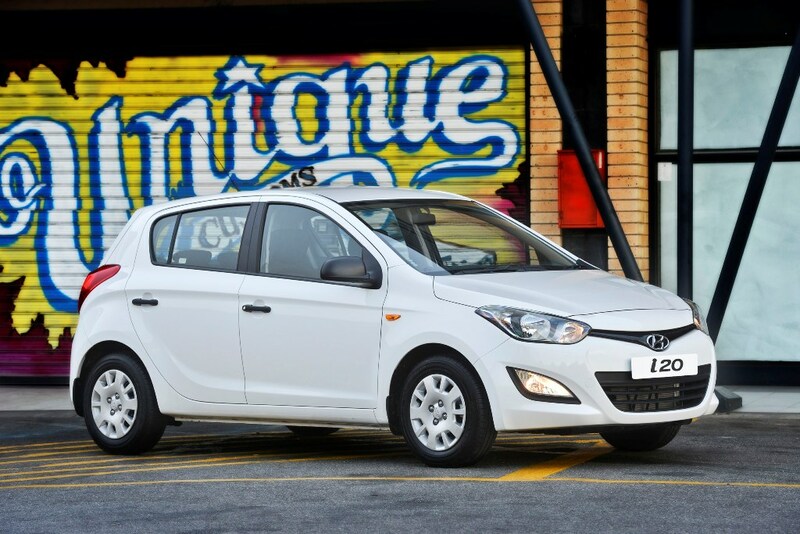 The recommended retail price of the Hyundai i20 1.2 Motion is R144 900. 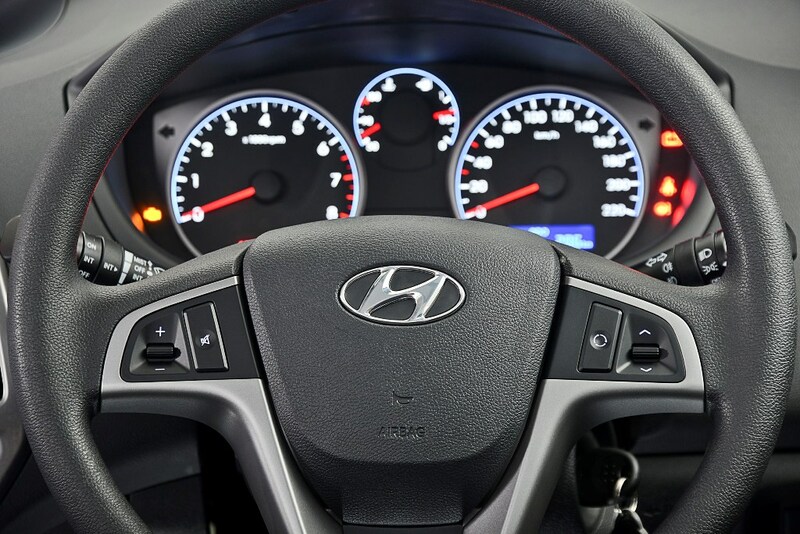 Late last week Hyundai, Kia admitted to overstating fuel consumption figures on some of their models from the 2011 to 2013 model years in the United States (US). 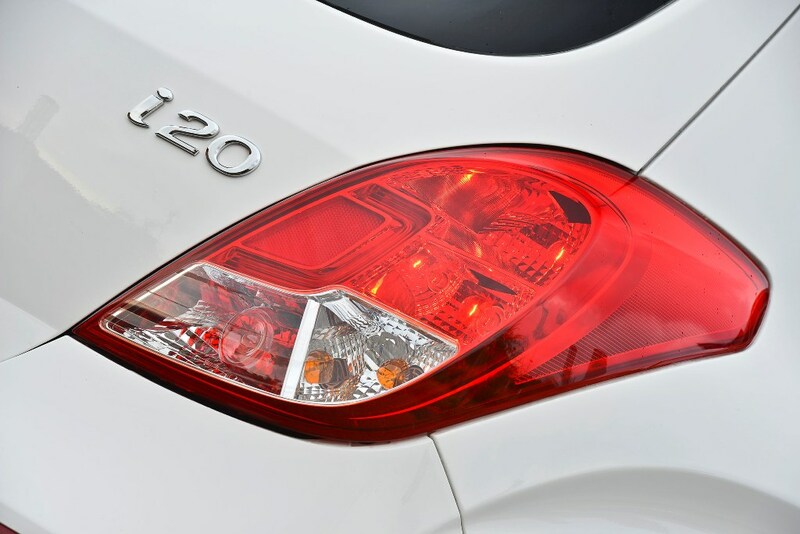 The models affected being the Hyundai Accent, Azera, Elantra, Genesis, Santa Fe, Sonata Hybrid, Tucson and Veloster. 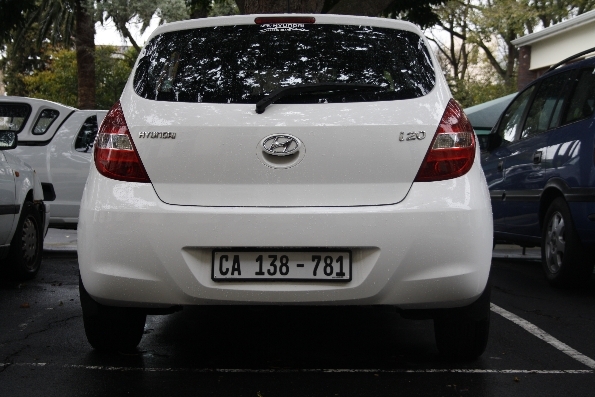 Kia Vehicles affected being the Kia Optima Hybrid, Rio, Sorento, Soul and Sportage. 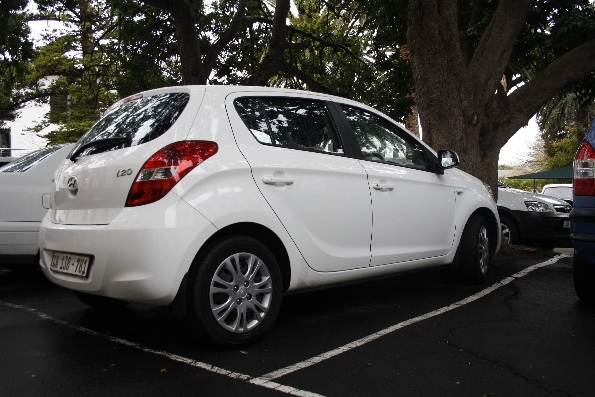 Hyundai, Kia was ordered by the United States Environmental Protection Agency (EPA) to amend the window stickers on these models as a result of complaints received from a number of customers claiming that they were struggling to achieve fuel consumption figures anywhere near to those stated by the manufacturers. 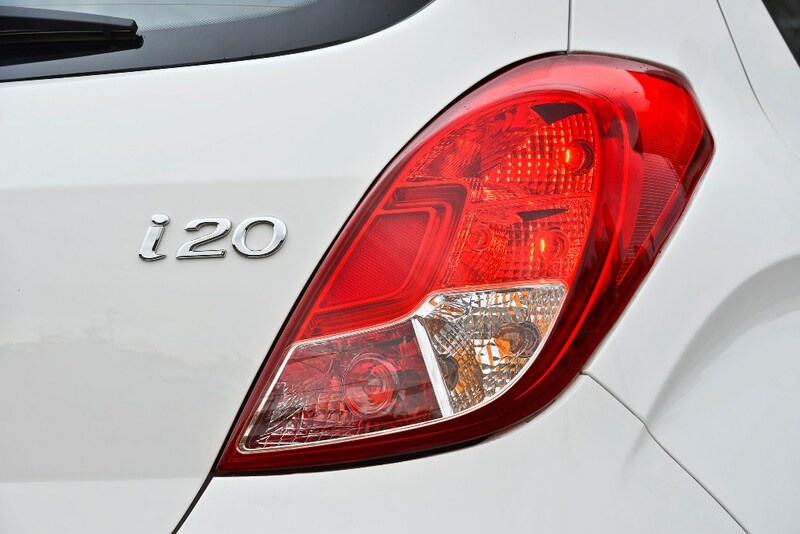 Hyundai, Kia claim that these mistakes were not intentional but as a result of an administrative error. Both companies will compensate customers for the mistake. 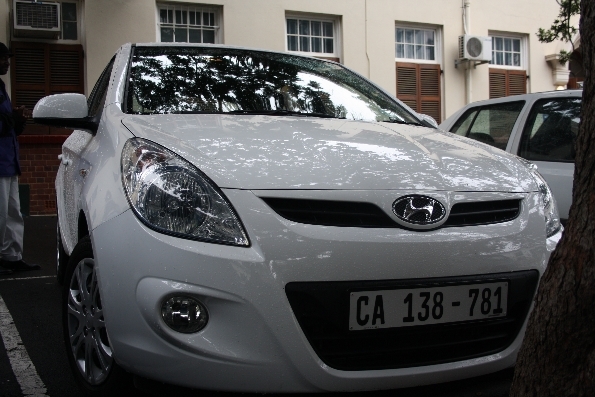 In this article we review the 2009 Hyundai i20 1.4 GL, but to be different we will split the review in two. 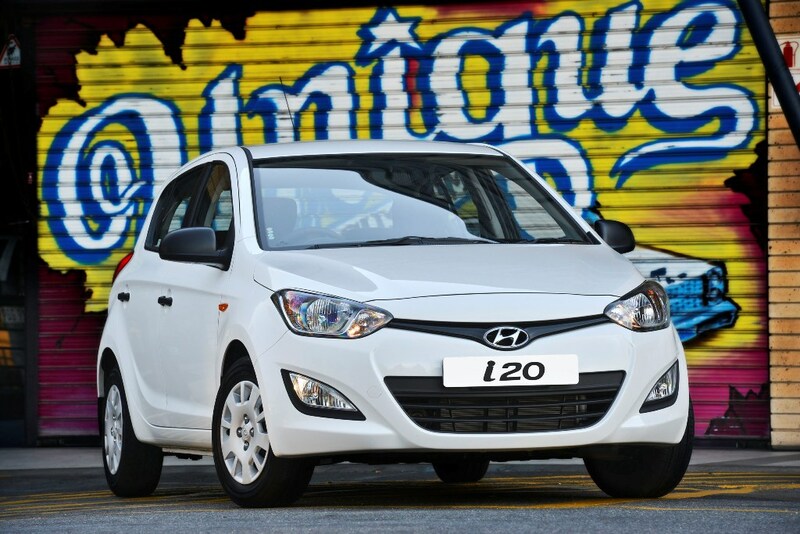 We begin first with a review of the Hyundai i20 styling, followed by a drive review. 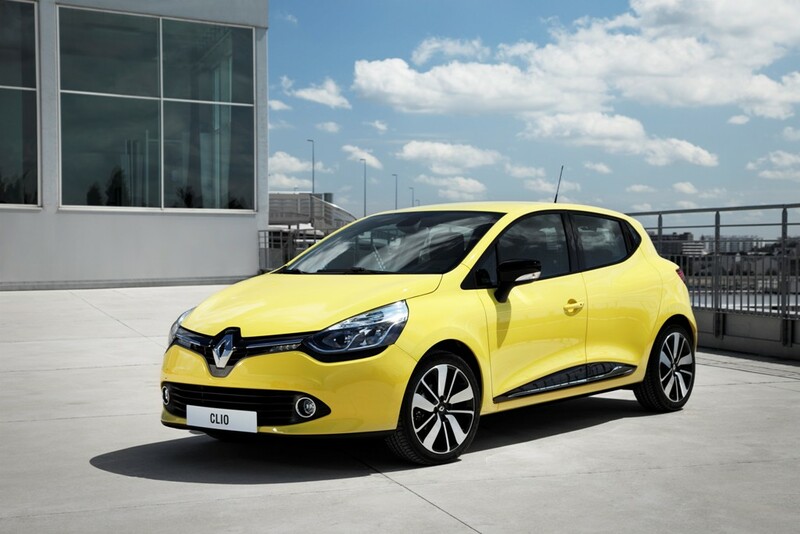 As demand for low cost cars has increased so has demand for better quality. Long gone are the days when manufacturers would release horrible, poor-build quality cars in the hope that people would turn to them as a first alternative in relation to how deep or rather shallow their pockets were. 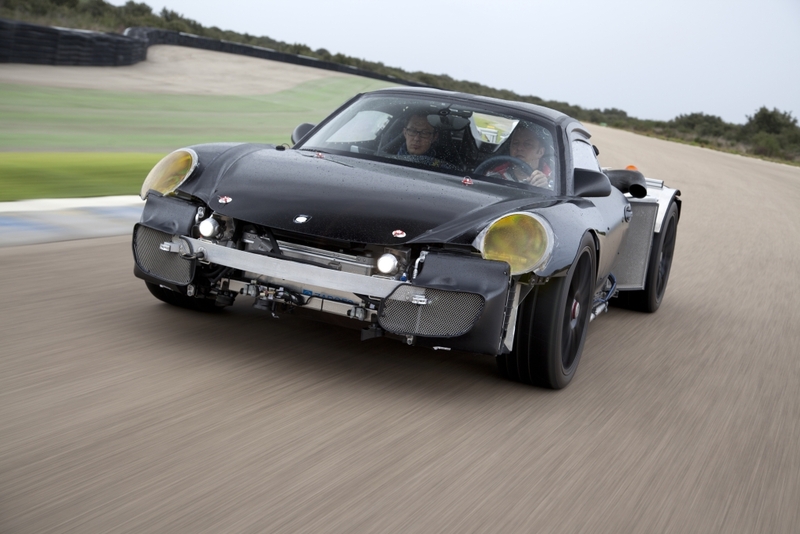 This has resulted in a lot of affordable cars having an improved build quality. 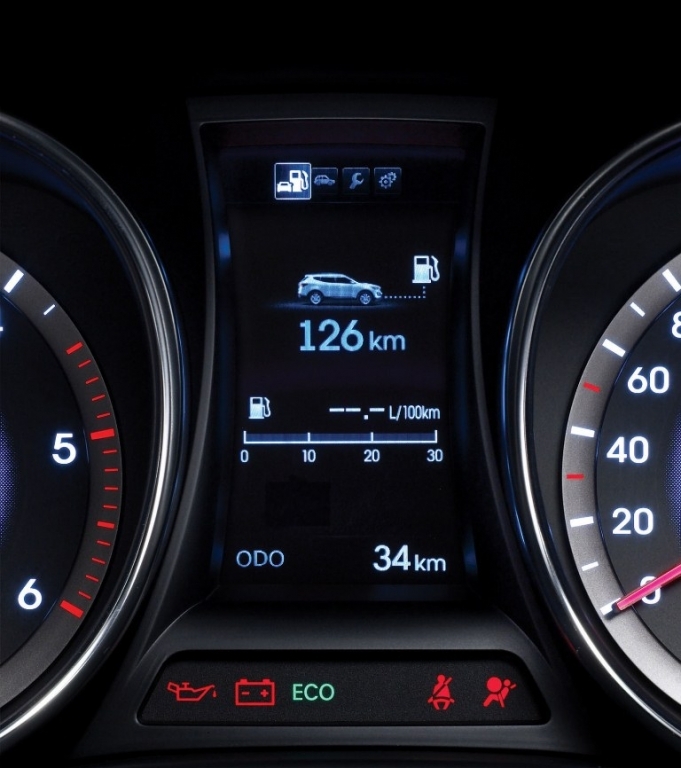 Mercedes-Benz and BMW, the luxury car manufactures are not the only ones with an array of toys such as climate control. Enough of the marketing malarkey we are so used to, things such as ‘manual climate control’ – a term I think that marketing folk for the lower segment cars invented in place of ‘fan!’ How irritating, we know they are desperate to sell you the car if they come up with such interesting terms. 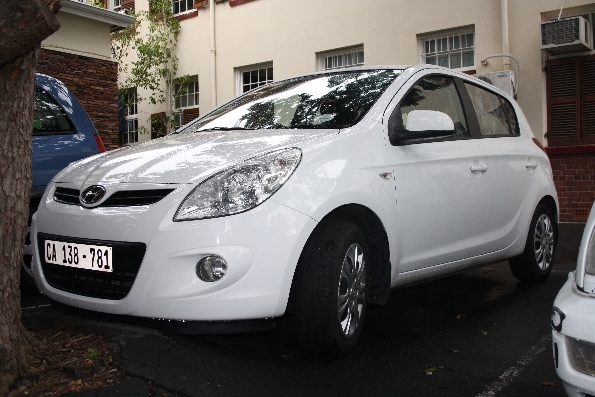 However the lower segment cars are now offering comfort and practicality at very affordable prices. You know that your car company needs to step up the game if the thesaurus doesn’t have your brand listed. 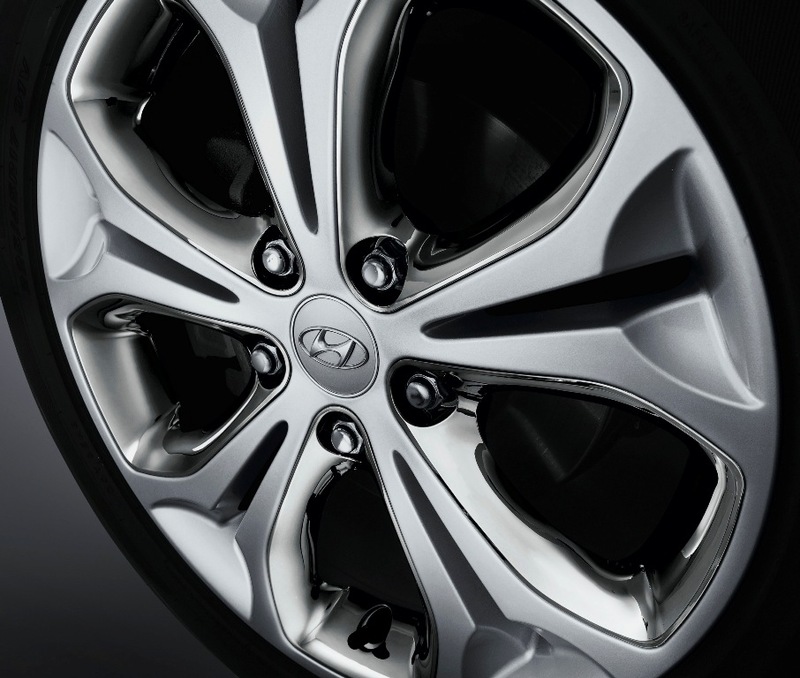 Hyundai haven’t reinvented the wheel they’ve just modified it. 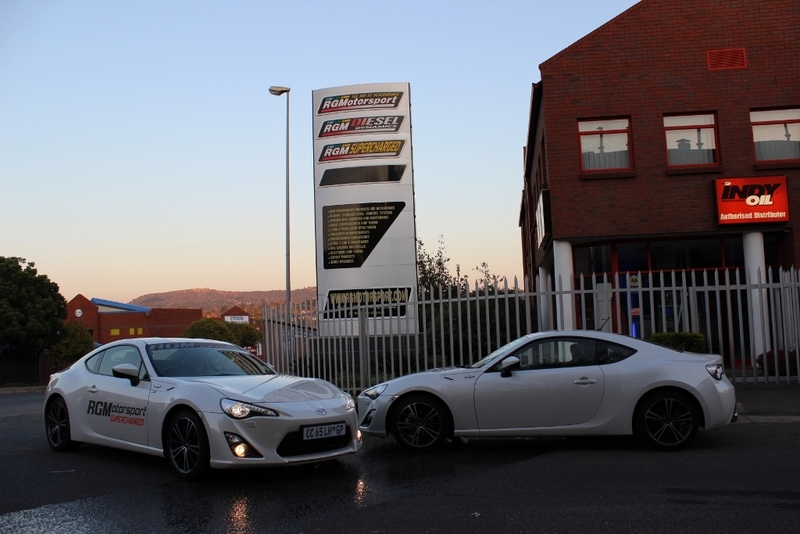 Let me explain: Think of how many Hyundai’s you see being driven on South African roads and how many times you’ve thought to yourself that looks much better than any Toyota I’ve seen (except the Toyota 86 which the editor is mad about) but not quite as handsome as a Mercedes. 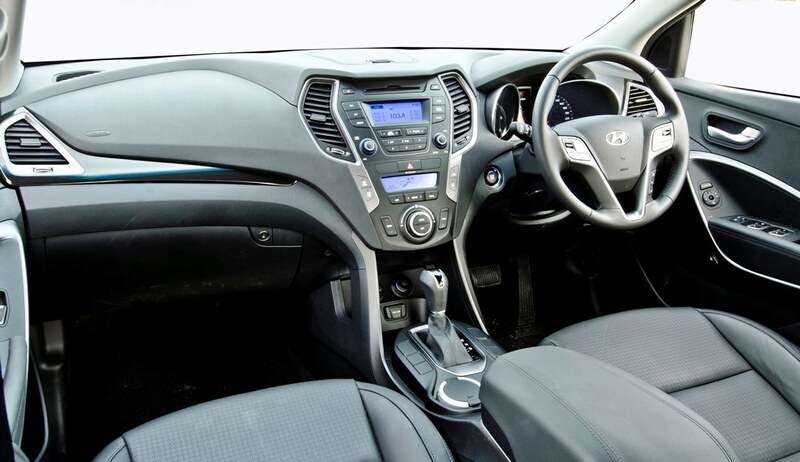 Think Toyota Prado vs Hyundai ix35 vs Kia Sportage. Think Toyota Camry vs Hyundai Sonata vs BMW 3 series. Get my point. The whole secret in this game is to come up with a common design language for your brand. Think how a Mercedes without the 3-pointed star is still recognizable as a Mercedes, or even a Jaguar or a BMW. 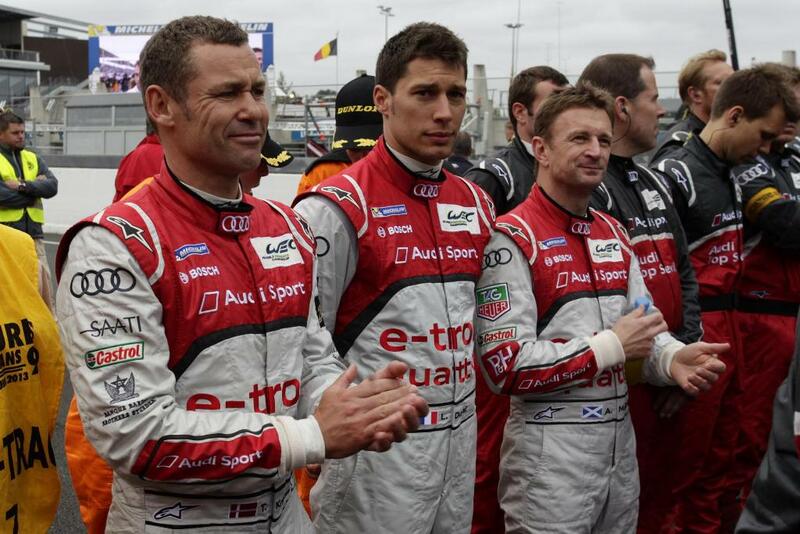 Kia-Hyundai hopes to get there soon enough. 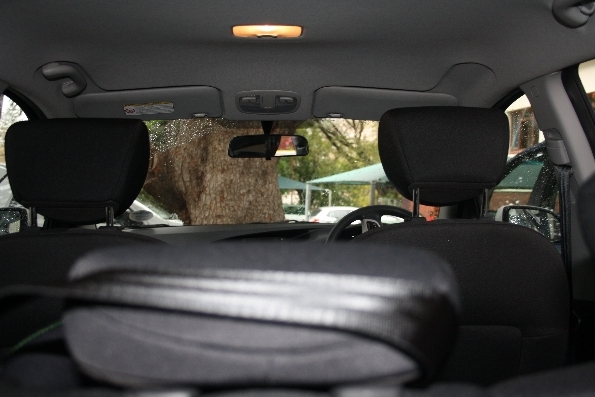 Recently a friend of mine bought a 2009 Hyundai i20 1.4 GL and we thought we would have a peak under the roof to see why this little car is becoming more and more popular in the South African market. Firstly, it has a neutral smell compared to that characteristic whiff you learn to associate with different cars you get into. For example I believe all VW Polos from the 2005 era have a distinct scent (I’ve been in several and all have the same, er, smell). 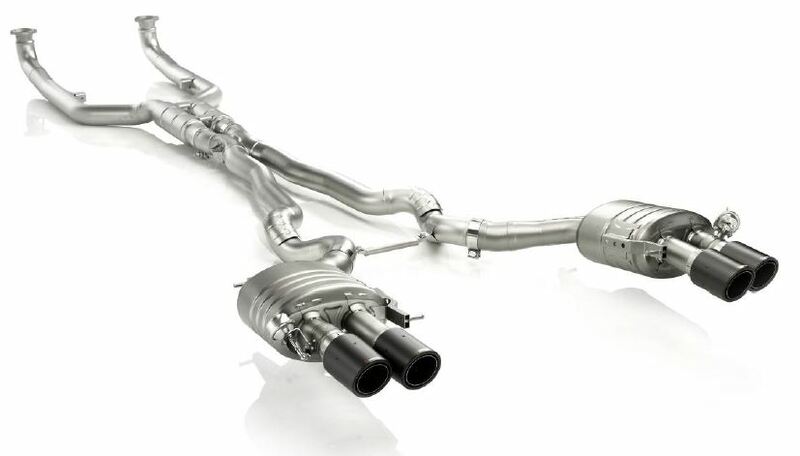 So this might be a bonus for the Hyundai i20. 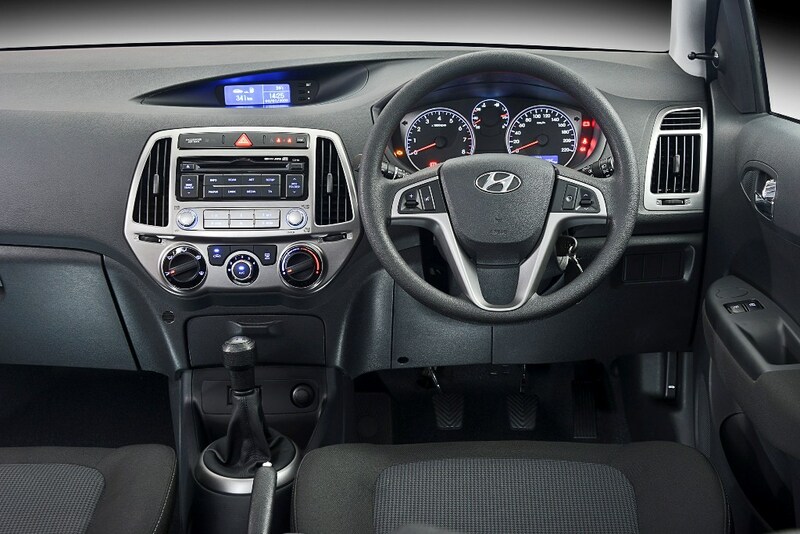 The first thing I notice is the quality of plastics used for the interior. 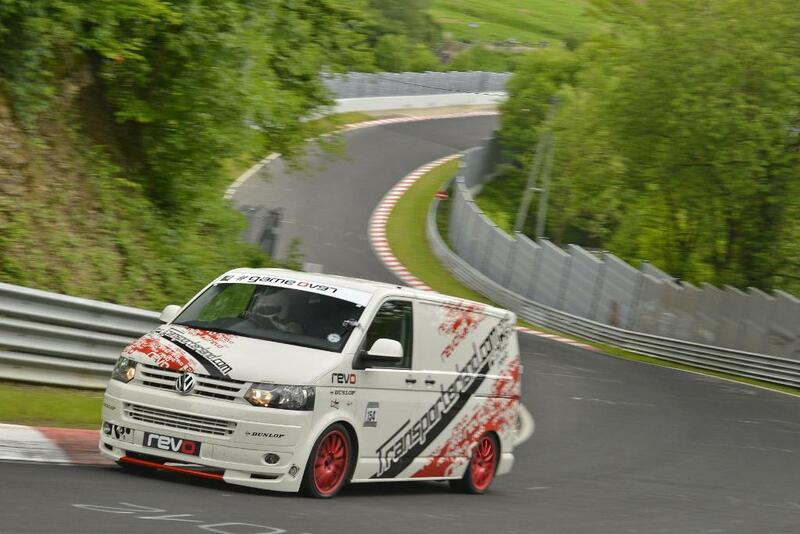 It is good quality but not yet VW standard if am honest. The seats are made of clothe but have a beautiful pattern woven into the seats(sort of a tron-legacy theme).The seats are black matching the rest of the interior and the carpets also which have ‘i20′ emblazoned on them. 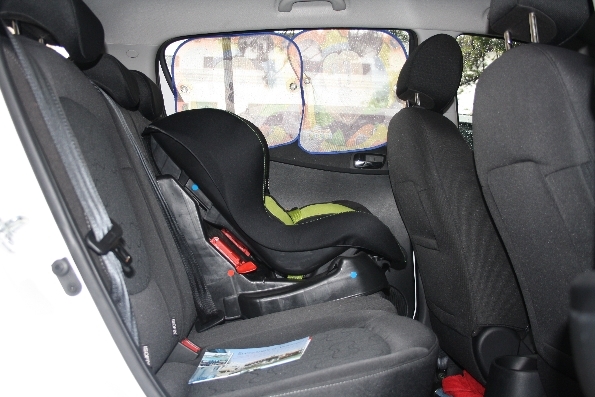 There is enough room to fit a baby seat for young parents (see photos) which is a great bonus. 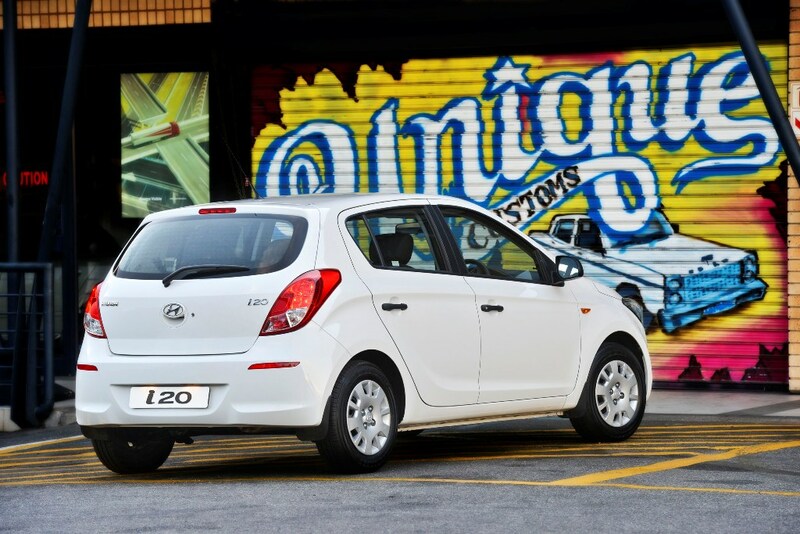 The main thing that caught my attention is the number of toys that the Hyundai i20 comes with as standard. 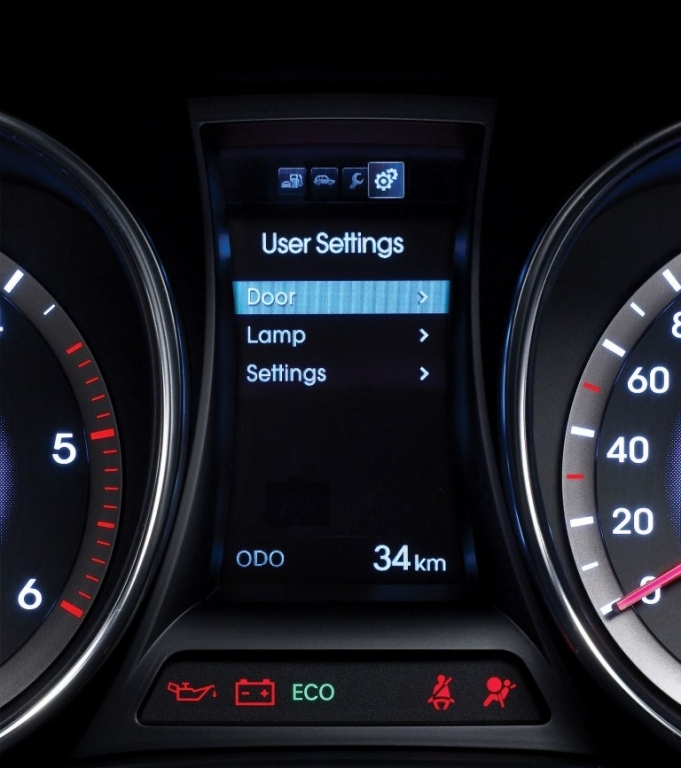 There are seat belt warning lights for all passengers which is a rarity in a lot of cars even higher end models. There is an ash tray that is portable and very similar to one we saw in the Renault Megane 265 RS Trophy for smokers but I think it’s more of a styling feature. 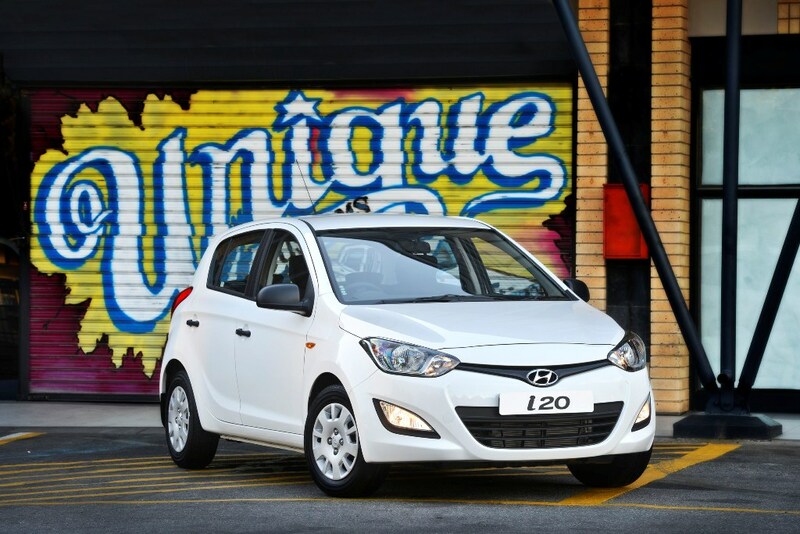 The fascia of the Hyundai i20 is a little bit disappointing because it looks like a portable CD-Player from the 90s. 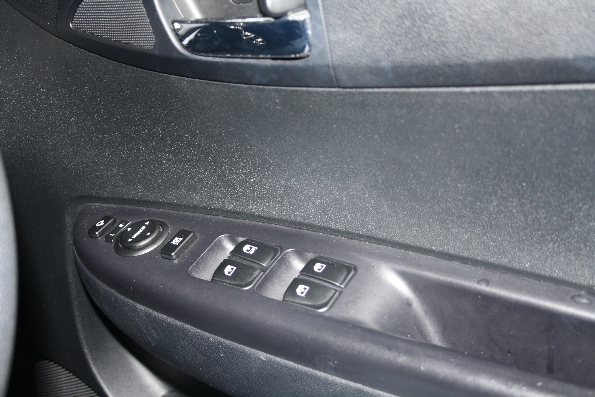 It’s got that cheap metallic look that doesn’t really go well with the rest of the car’s black interior. 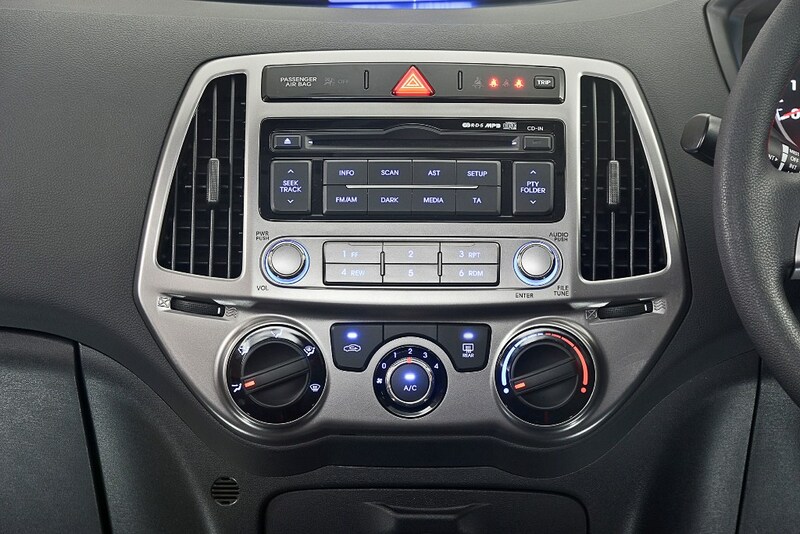 However it is festooned with buttons for everything, from a button for the trip computer to an aux button. Yes, this car does come with i-pod connectivity at no extra cost. 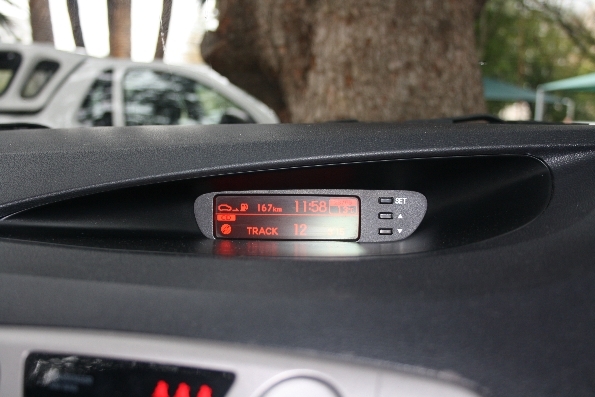 I am a bit fascinated by the trip computer, the display reads out things like fuel range of the car to the time to whatever music you are playing all at once. 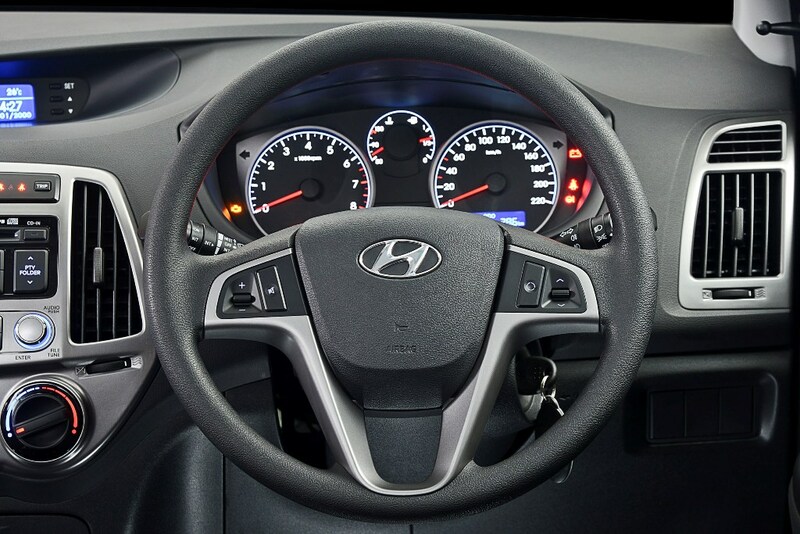 The steering wheel of the Hyundai i20 is just the right size and the instrument panel not at all dull, but at the same time not exciting either. 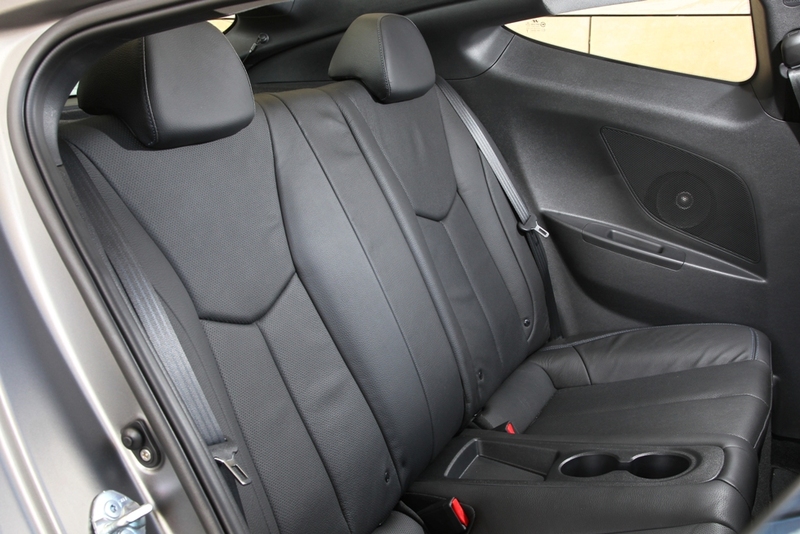 The front seats have excellent support for one’s back and sides and are comfortable. 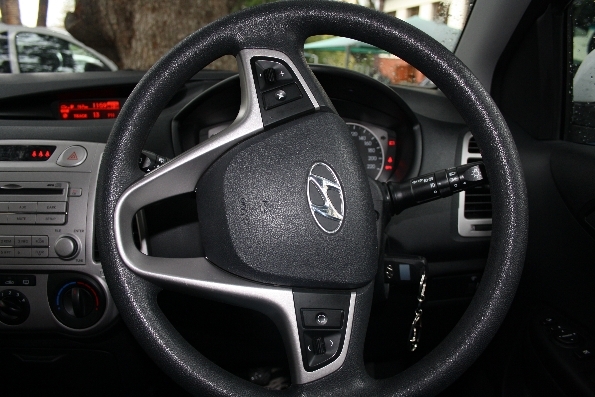 Now, we only get to test drive it next week so more on engine size and throttle response and more technical stuff then but so far it’s looking up for Hyundai. 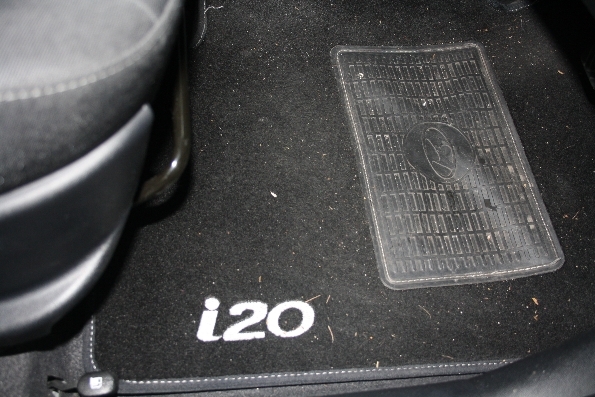 However, I do have a suspicion that the engine won’t quite deliver the performance that the interior suggests. Sadly, fitting more extra stuff to a car as a lot of car manufacturers are doing at the moment doesn’t make a car drive brilliantly. Even though so much attention is being paid to quality I feel very little is being paid to performance, more attention is being paid on economy and customer comfort. But, more on the verdict next time. 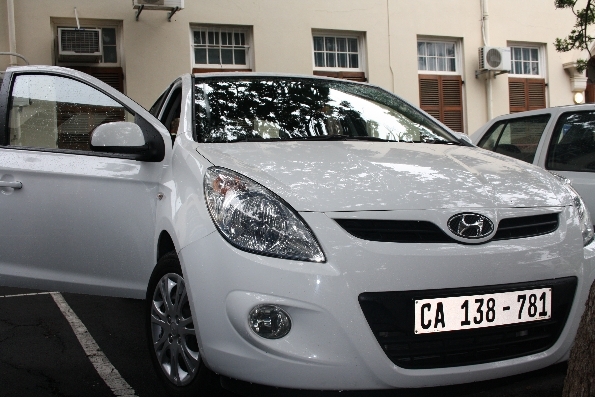 The price for a 2009 Hyundai i20 1.4 GL purchased from a dealer is around R115000. 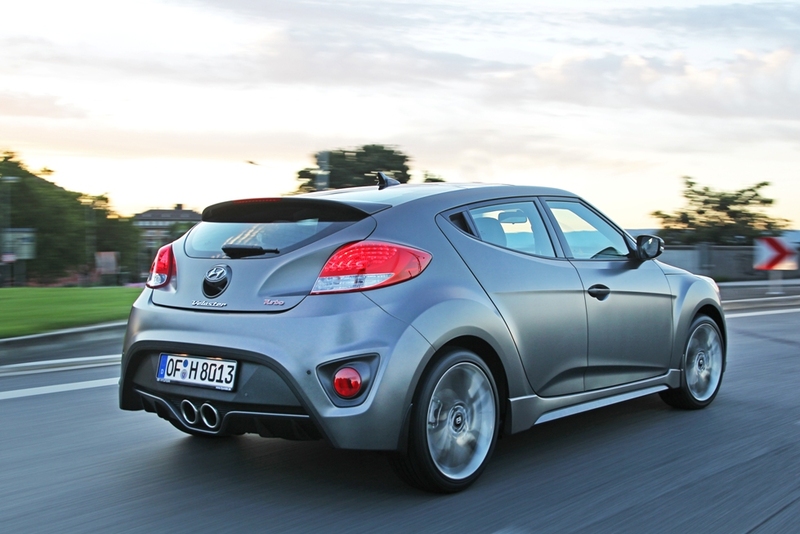 According to reports from SACar Fan the launch of the Hyundai Veloster , which was originally to be launched in October 2012, will be delayed to 2013. 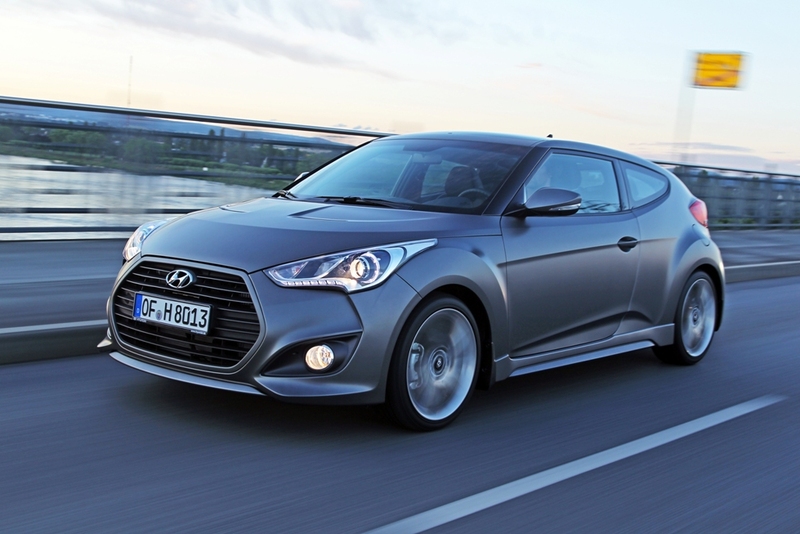 The reason for the delay of the Hyundai Veloster has to do with fuel quality related concerns from Hyundai Korea who are at this stage unwilling to launch the new 1.6-litre Gasoline Direct Injection (GDI) engine in the line-up due to fear of having unnecessary warranty claims. 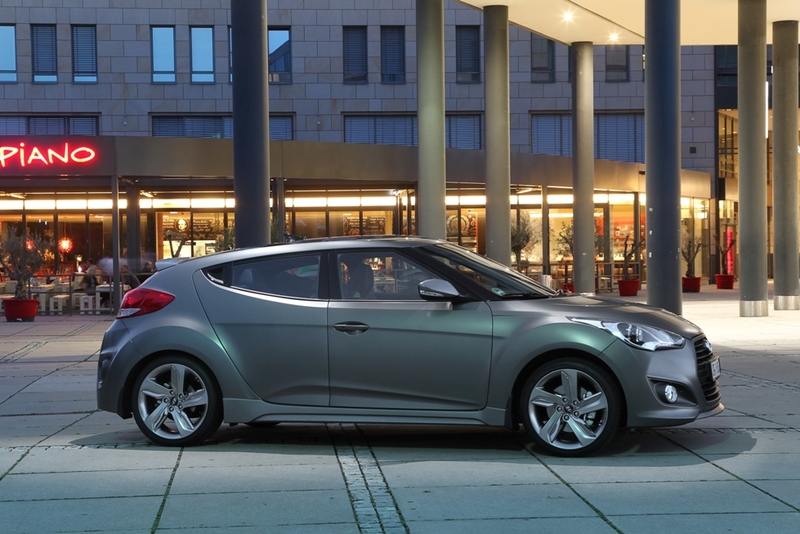 The Hyundai Veloster is a coupe with a very sleek and distinctive look. One of the main distinctive styling features being the unique 1+2 door configuration. 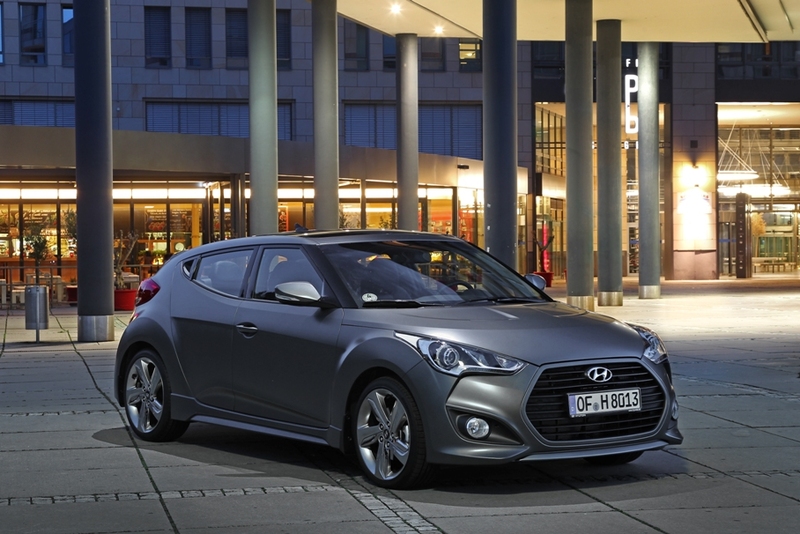 The Hyundai Veloster will be available globally in two main trim levels (Veloster and Veloster Sport) and powered by a 1.6-litre four-cylinder GDI petrol engine, with a power output of 102kW and 166Nm of torque. 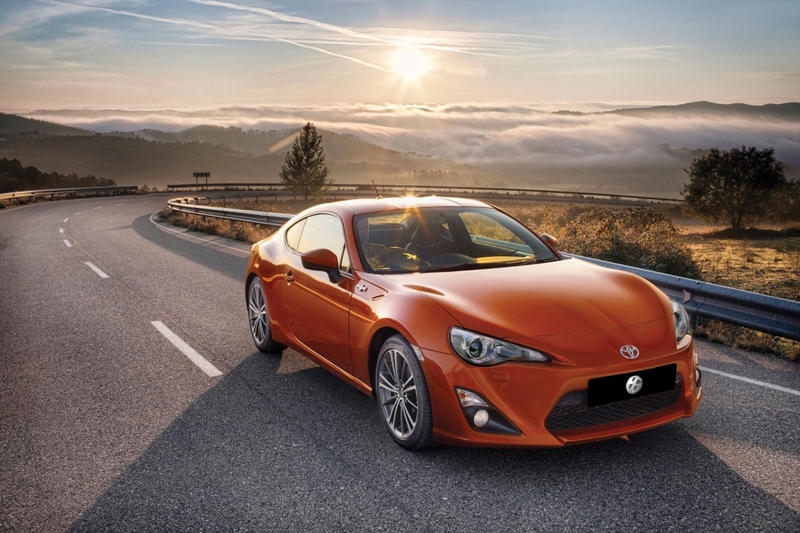 It will be available with the option of a six-speed manual gearbox or Hyundai’s first dual-clutch transmission. Hyundai’s Blue drive technologies, incorporating Intelligent Stop & Go technology and low rolling resistance tyres, will feature in the Veloster line-up ensuring claimed CO2 emissions of 137g/km and a combined fuel economy of 4.9 l/100km. 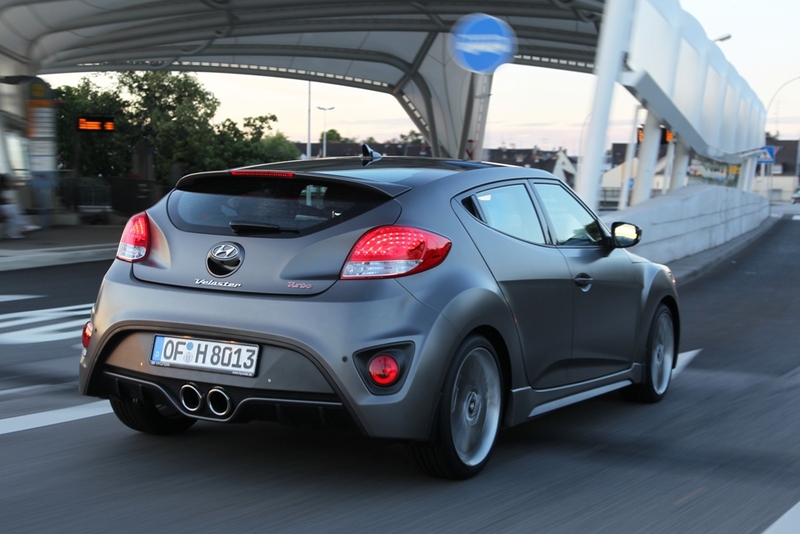 The launch of the Hyundai Veloster Turbo locally would give Hyundai an entry into the highly contested hot hatch segment. 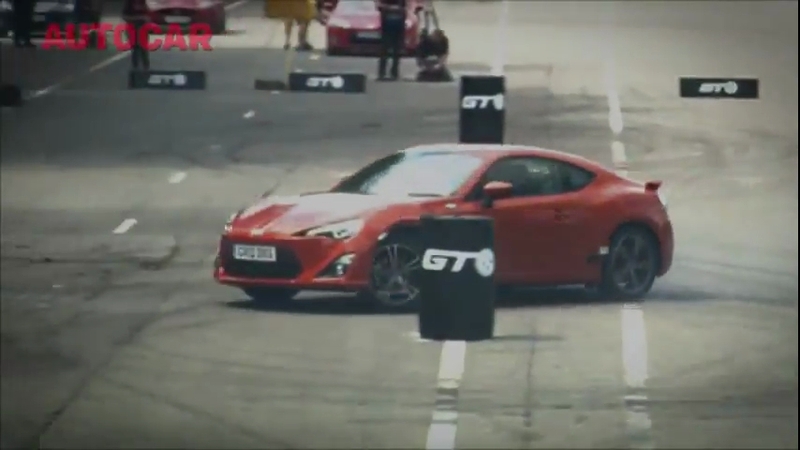 Hyundai pegs amongst its competitors the Volkswagen Golf Gti, and Mini Cooper/Clubman S. The Hyundai Veloster Turbo has a 1.6-liter T-GDI engine fitted with a high-compression, twin-scroll turbocharger that develops 137 kW and a torque output of 265 Nm. 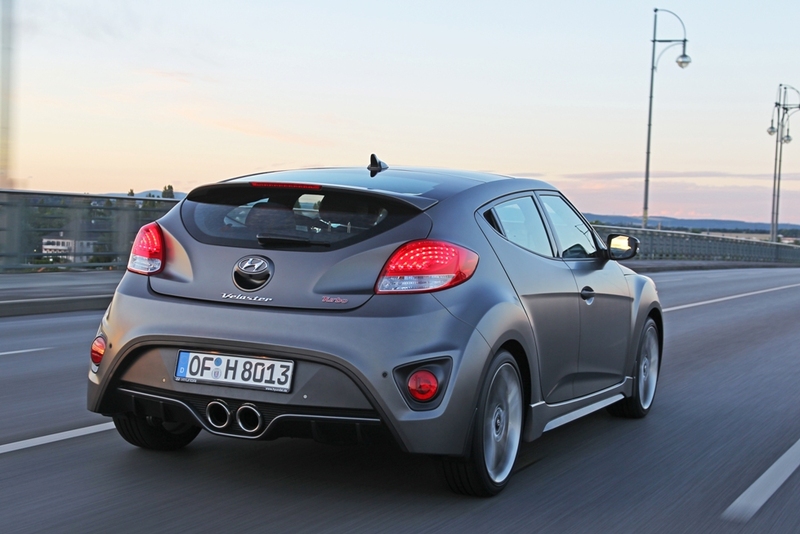 This will propel the Hyundai Veloster from zero to km/h in 8.4 seconds, before hitting a top speed of 214 km/h. 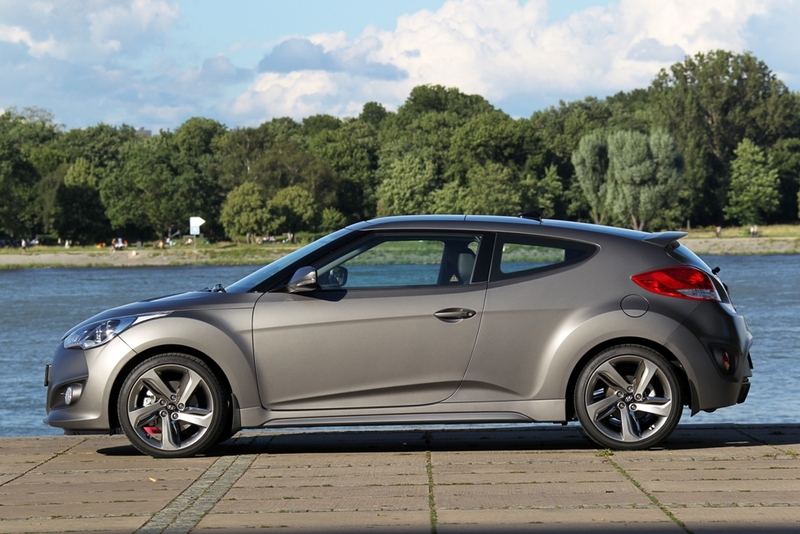 Below is a video review of the Hyundai Veloster by AutoCar. 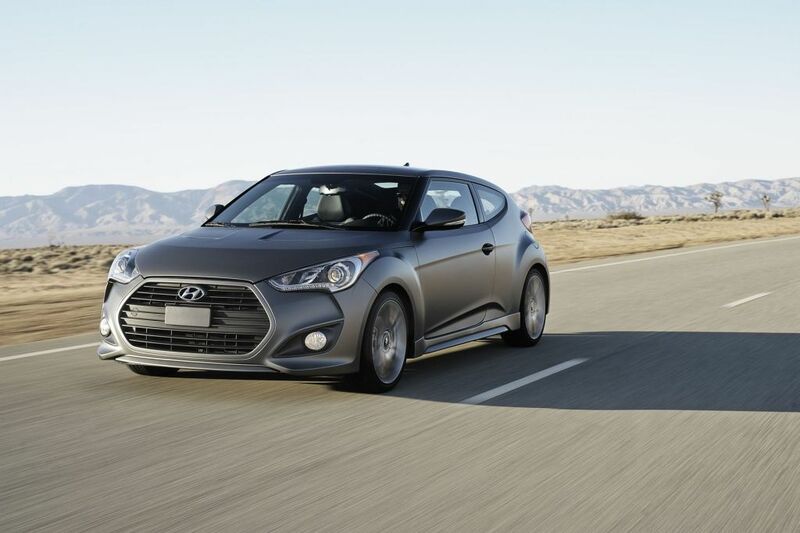 For a look at what to expect from the Hyundai Veloster Turbo, view the video below from Motor Trend. 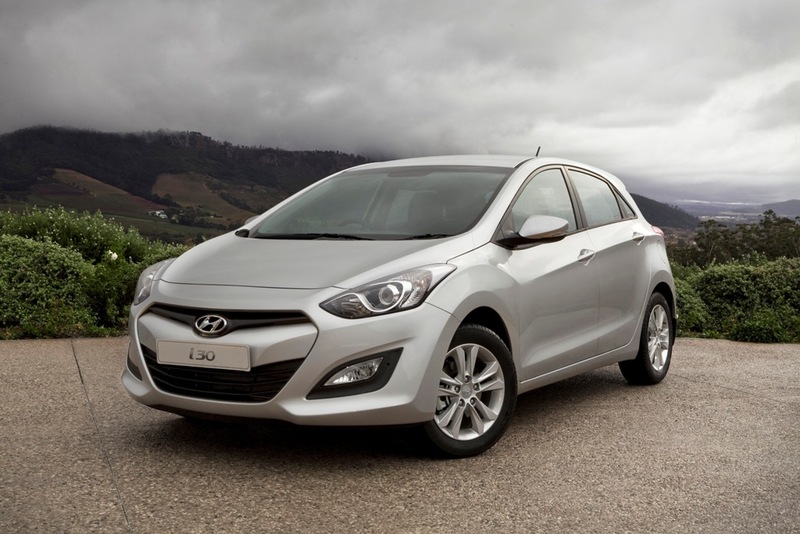 The launch of the new generation Hyundai I30 generation i30 has certainly made its opposition take serious note. 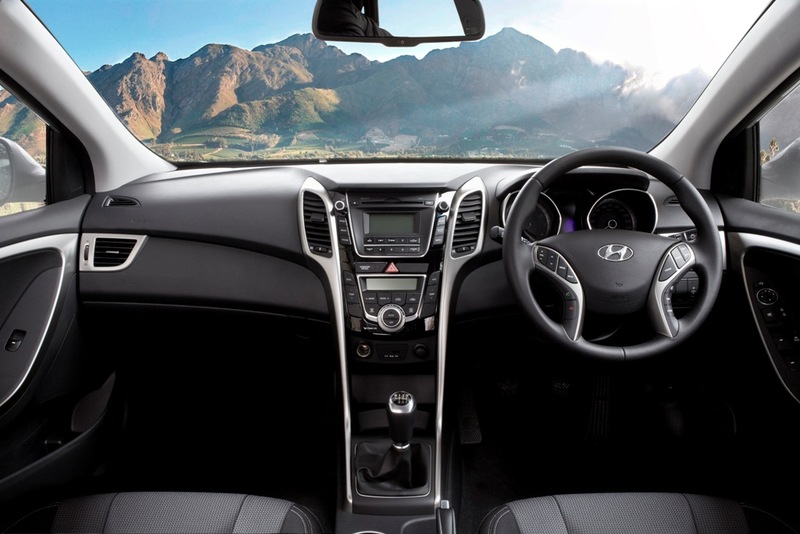 The new Hyundai i30 is one attractive looking hatchback with added levels of style and refinement, well at least compared to its predecessor. 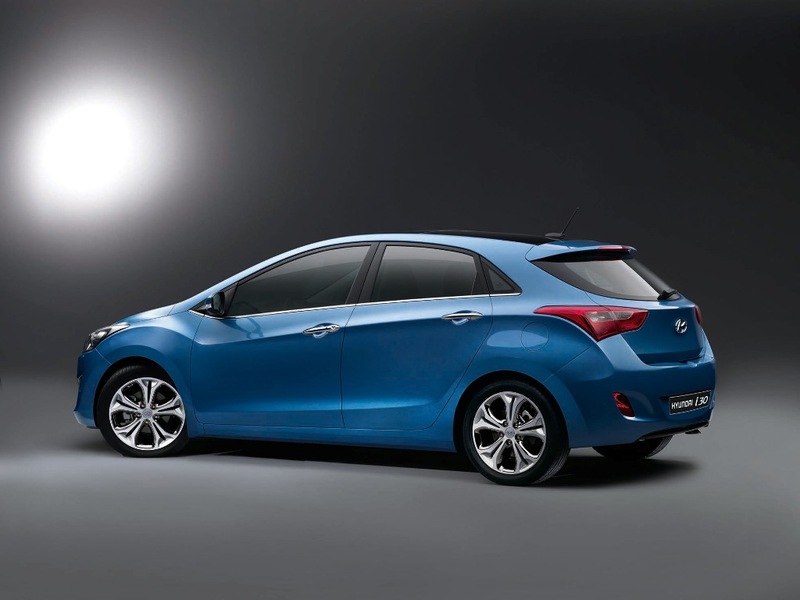 The new-generation i30 was given its striking good looks by the team at Hyundai Motor Europe Design Centre in Rüsselsheim, Germany. 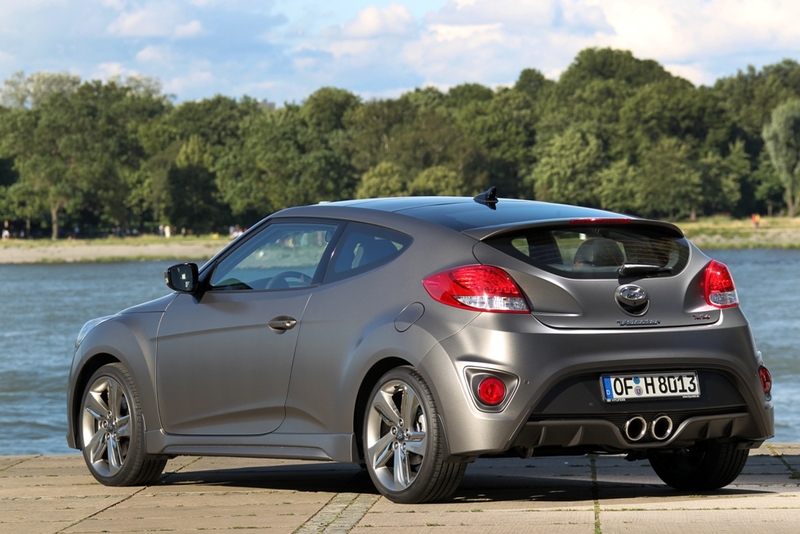 Hyundai’s focus on design over the last few years has clearly paid off. 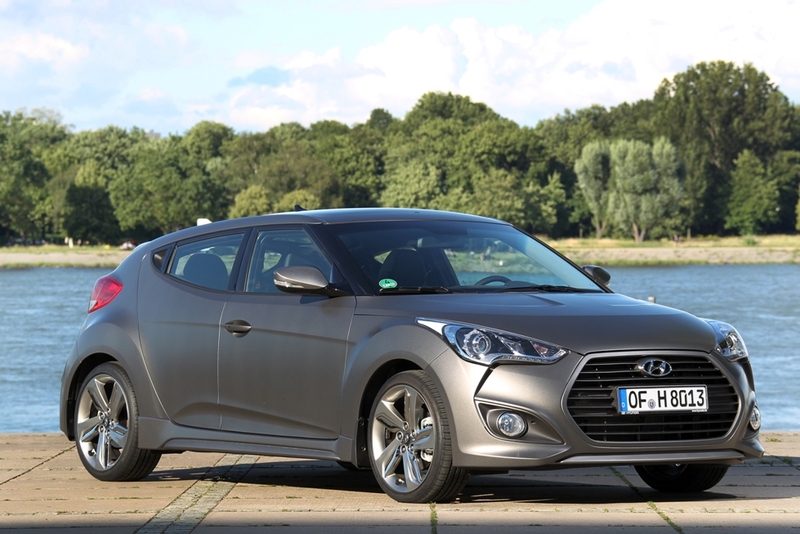 A testament to Hyundai’s improvement in design was Martin Winterkorn’s, Chairman of the Board of Management of Volkswagen AG, scrutiny of the Hyundai i30 hatchback at the Frankfurt Motor Show last year where he was also caught on camera praising steering wheel release lever amongst other things (see the video below). 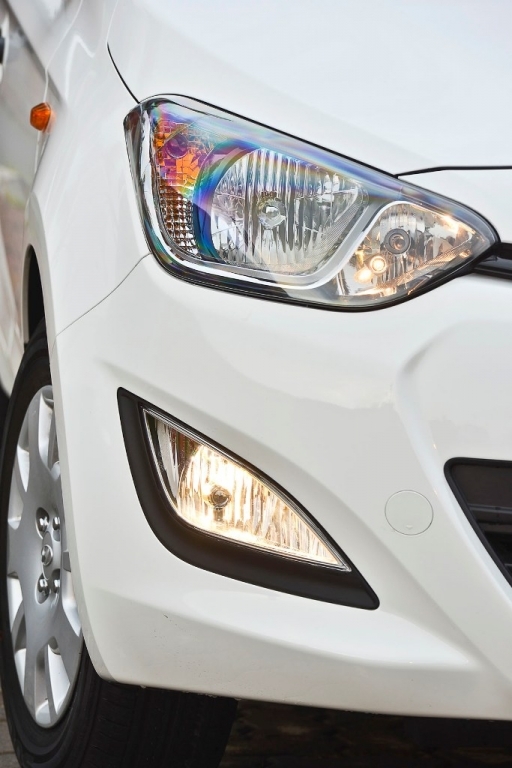 Other than that, Hyundai recently won three awards at the German Design Council (Rat für Formgebung), of which two of the awards were for the interior and exterior design of the new second-generation Golf-sized Hyundai i30. 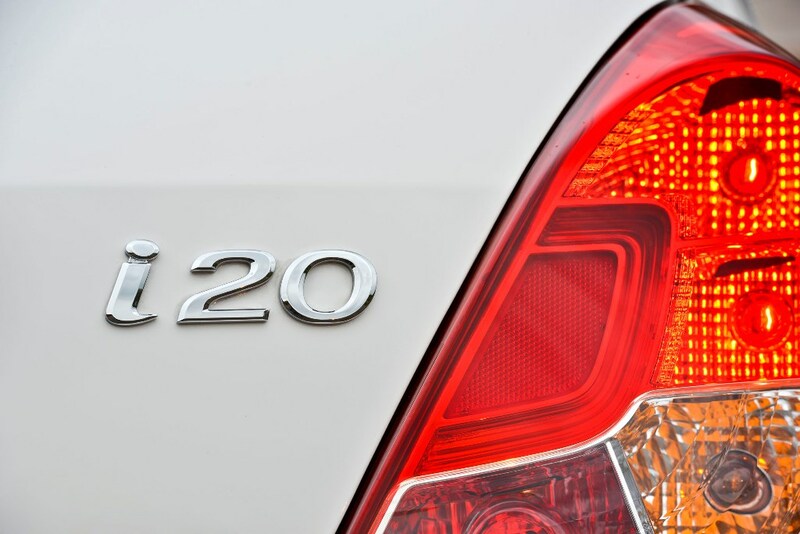 Since its launch in 2007, the i30 has defied the industry norm by recording increased annual sales with each passing year. 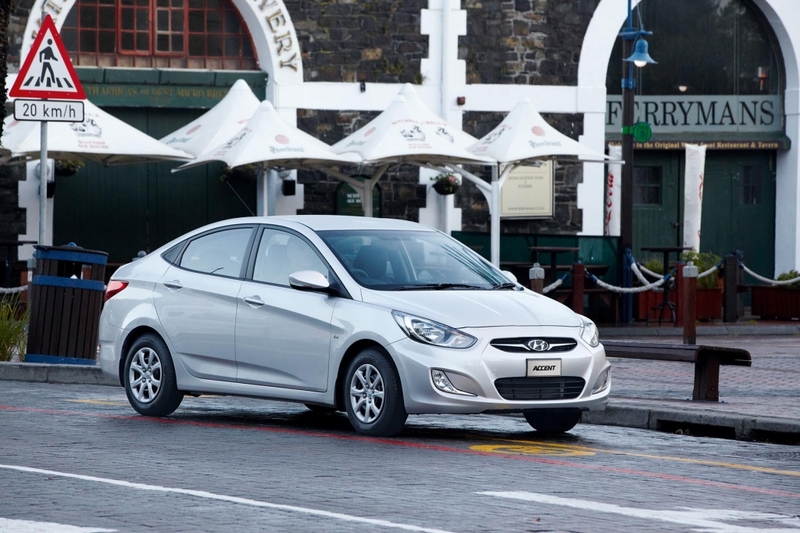 Hyundai expects the new-generation i30 to maintain this growth trend, contributing to future sales success, growing brand awareness and improving perceptions of Hyundai in world markets. 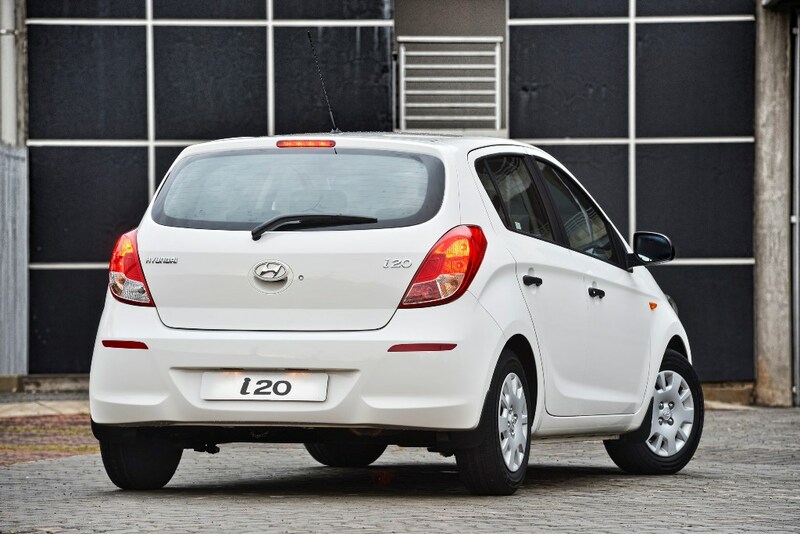 In South Africa the new-generation Hyundai i30 will be available with a choice of two petrol variants, with power and torque outputs ranging from 95 kW and 157 Nm for the 1.6 litre four-cylinder engine to 110 kW and 178 Nm for the 1.8 litre in the top-end derivative. 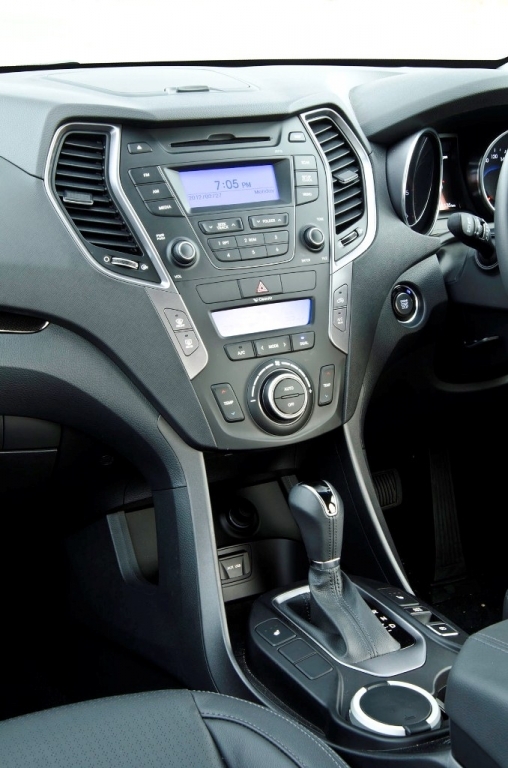 The 1.6 litre engine is matched to a six-speed manual or six-speed automatic gearbox with the choice of manual shifting, while the 1.8 derivative comes with a six-speed manual transmission. 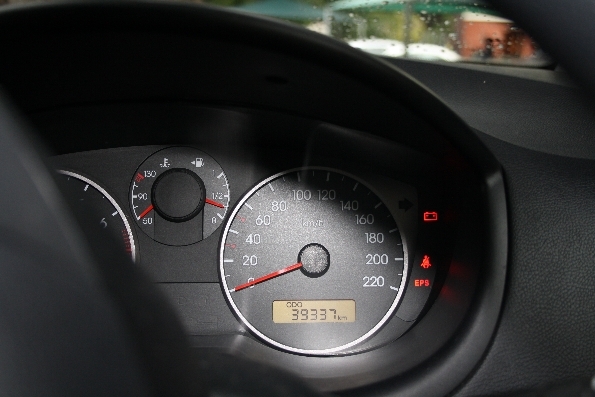 Considering the power of these engines the claimed fuel consumption of these engines is rather frugal, at 6.4 and 6.8 litres/100 km for the 1.6 manual and automatic, and an exemplary 6.5 litres/100 km for the 1.8. 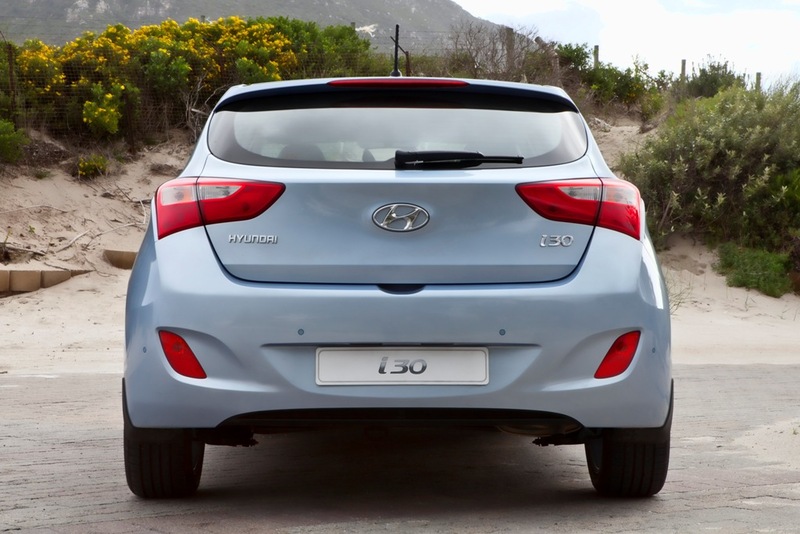 Looking at the exterior styling the Hyundai i30 has a rather sporty look. 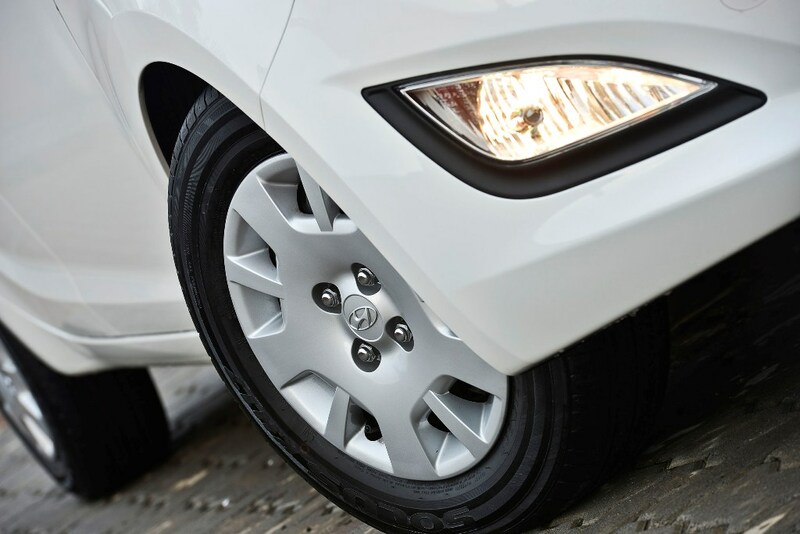 Some of the elemets which stand out the most are the; Hyundai’s signature frontal feature, the hexagonal-shaped grille, the rear aerodynamic design of stylish curvatures, the rear combination lamp that blends naturally into the wheel arches and the attractive alloys, 16 inch for the i30 1.6 and 17 inch for the i30 1.8, add a sporty touch to the complete picture. 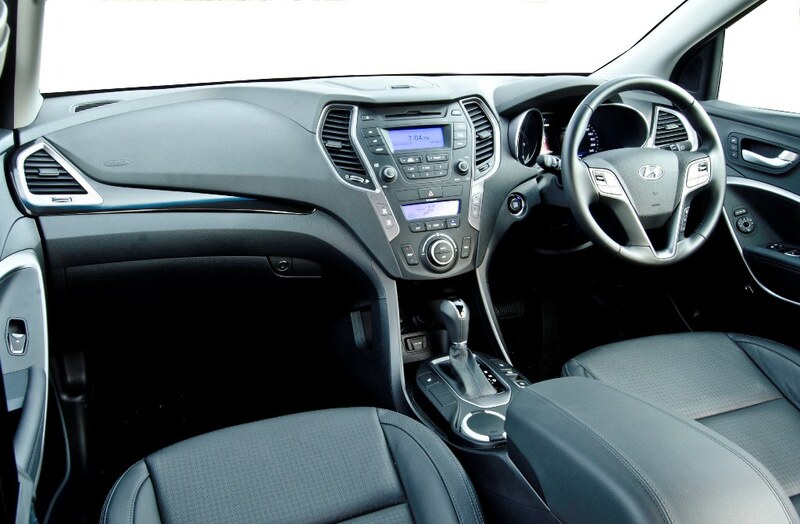 The interior of the Hyundai offers improved levels of refinement which are now becoming synonymous with the Hyundai brand. Purchasers of the Hyundai will benefit from Hyundai’s new Flex Steer™ option which will allow drivers to vary the level of steering assistance and feedback in order to suit driving conditions and make the journey more pleasurable. 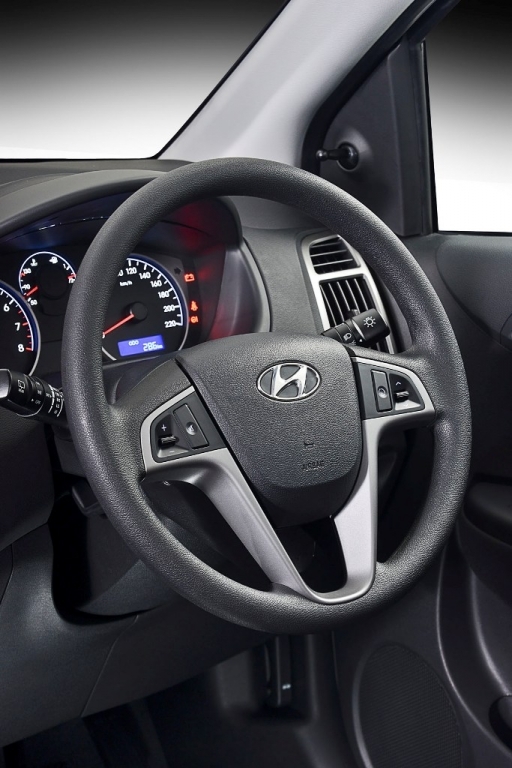 Three setting will be available; Comfort, Normal, or Sport Steering, with the buttons for this on the steering wheel. 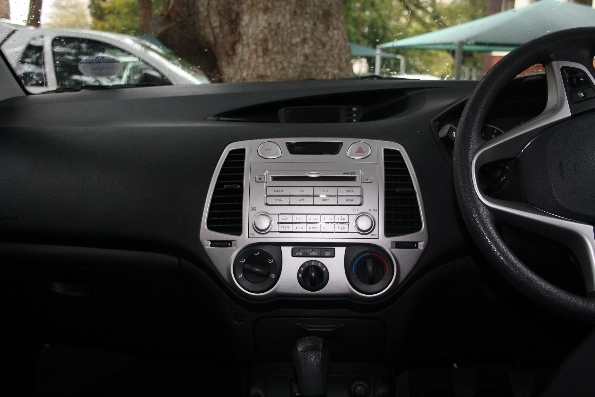 Other key features on the interior are the large TFT cluster which provides driver information, Dual-zone climate control, multifunctional steering wheel, a sound system that features 4 speakers and 2 tweeters, Bluetooth connection to a cell phone, and connecting sockets for Aux, iPod or USB music input. 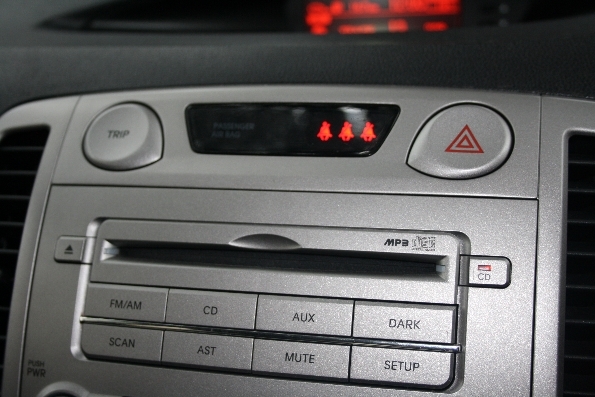 The sound system also includes the radio and a CD player that can accept MP3 formatted music files. 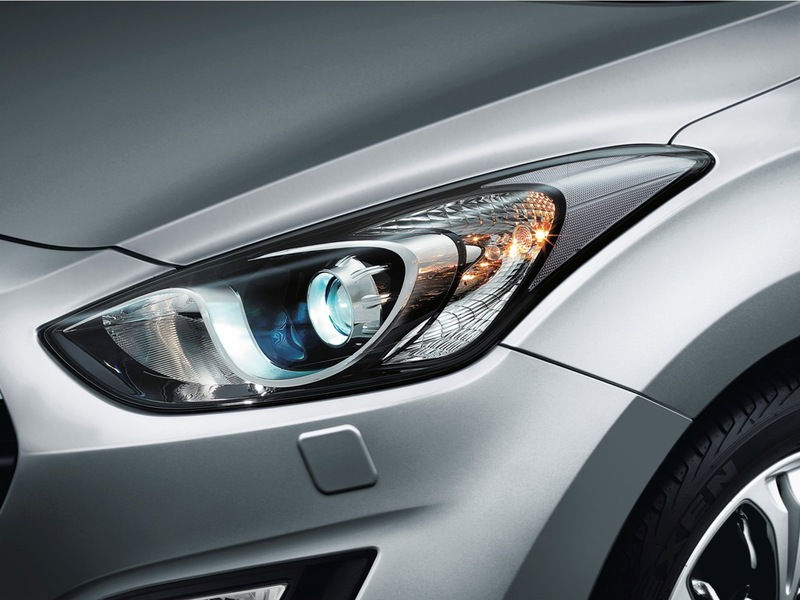 Another key feature of the Hyundai i30 is the fold-away side mirrors that are electrically operated. 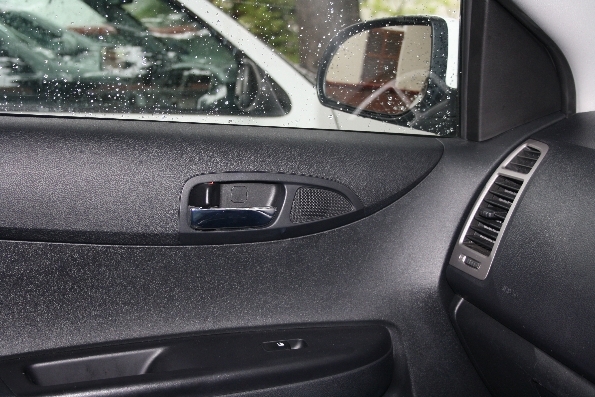 The mirrors can also be heated on a cold morning for better visibility. 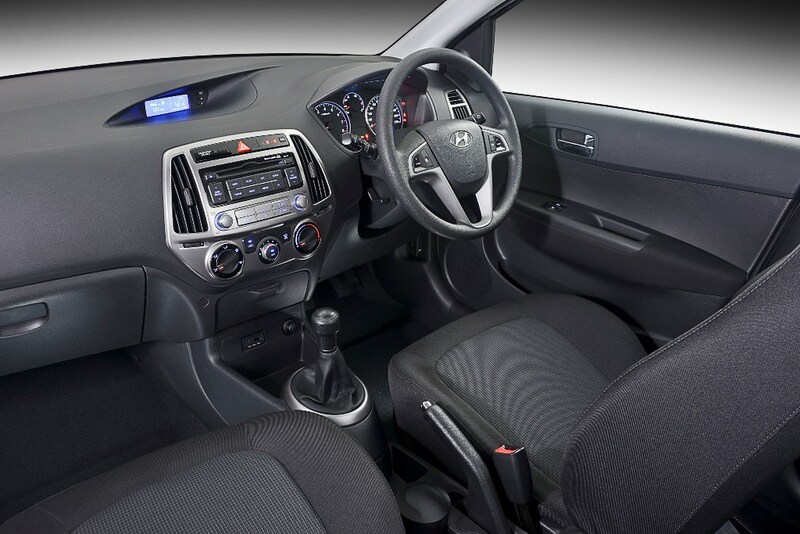 Customers will benefit from the new-generation i30’s roomier interior compared to the previous model. 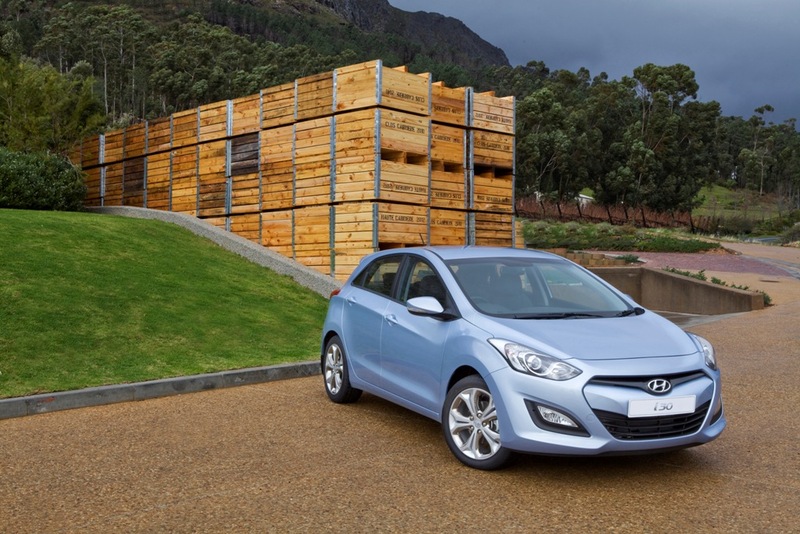 Cargo capacity in the new-generation i30 is 378 litres with the rear seats upright, an increase of 10% compared to the original model. 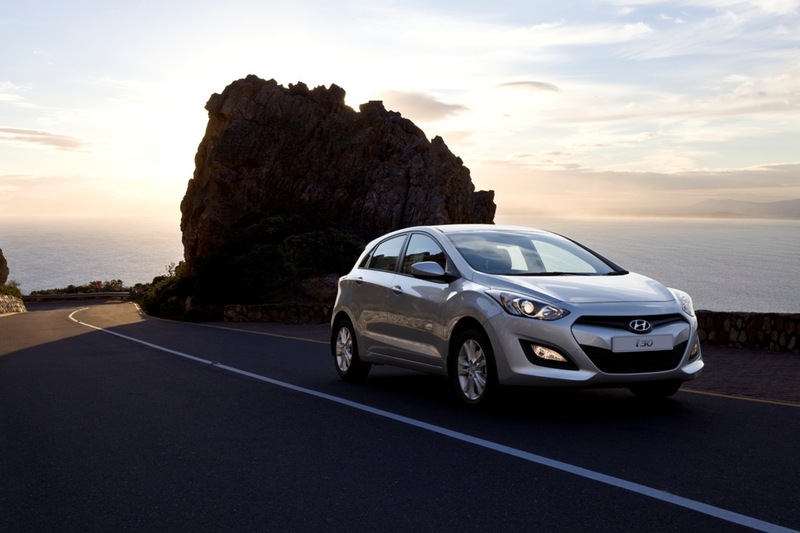 From a safety perspective the Hyundai i30 has been awarded a five-star score in Euro NCAP’s impact assessment programme. 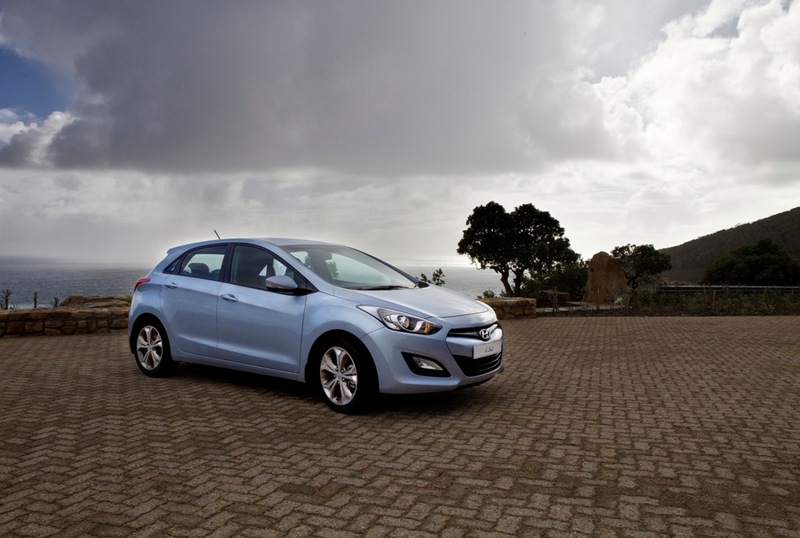 For detailed road tests of the Hyundai i30 read the article from Car Magazine and SACarFan.